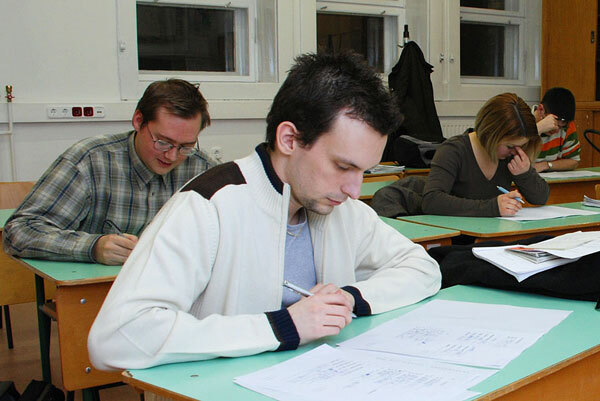 ELTE Confucian Institute held its first Chinese end-module exams on 7th February 2008. 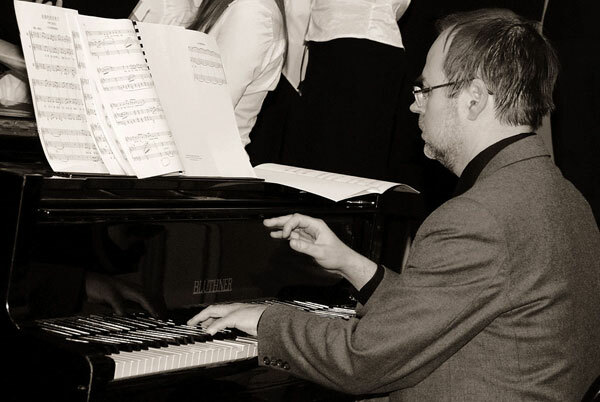 Amongst others, it was a non-hidden purpose of this exam to illustrate the results achieved so far in the individual subjects, making them clear for both the students and the teachers, thus promoting further successful work. 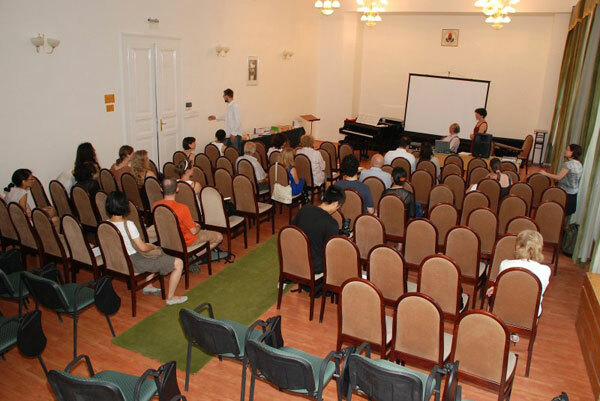 The exam, which consisted of a written and an oral part, was conducted by Anett Kozjek-Gulyás, programme director of EKI and Wang Jing, teacher of the same, and was successfully performed by all students. 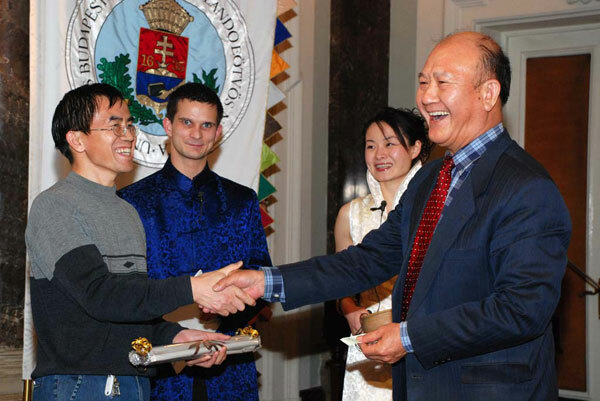 From February 2008, ELTE Confucian Institute provides all students with a certificate for all exams passed, the first copies of which were handed over on 7th February. 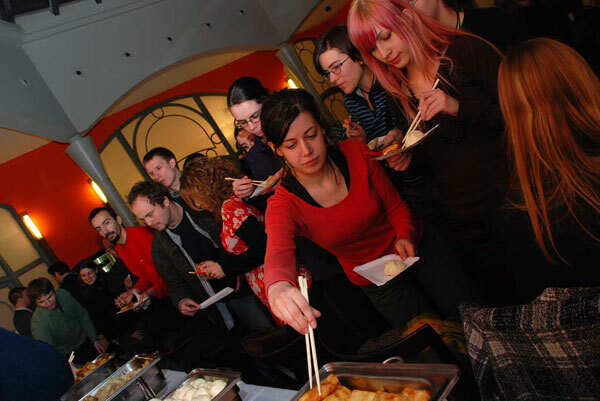 Almost a hundred people came to visit Crazy Wong’s New Year Party, held in the evening of 14th February, in the great hall of ELTE canteen at Rákóczi road. 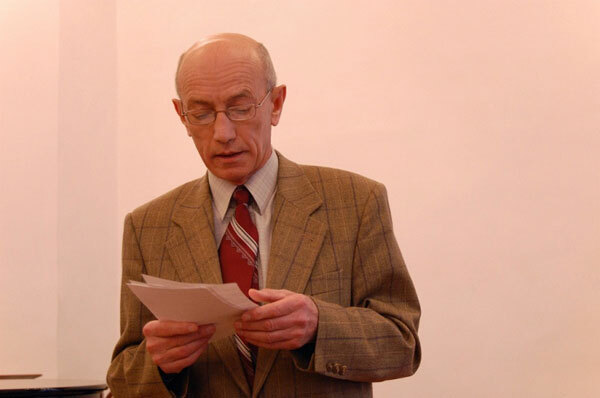 Students and teachers of ELTE’s Japanese, Chinese, Korean, Mongolian, Tibetan and Vietnamese Departments all cooperated in organizing this festival, which was opened by Dr. Imre Hamar, director of ELTE Confucian Institute. 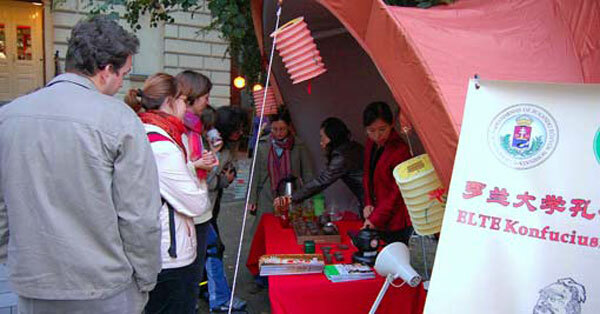 Many arrived with a sceptic look on the face: who the hell is Crazy Wong, and what does he have to do with the Chinese Rat Year? 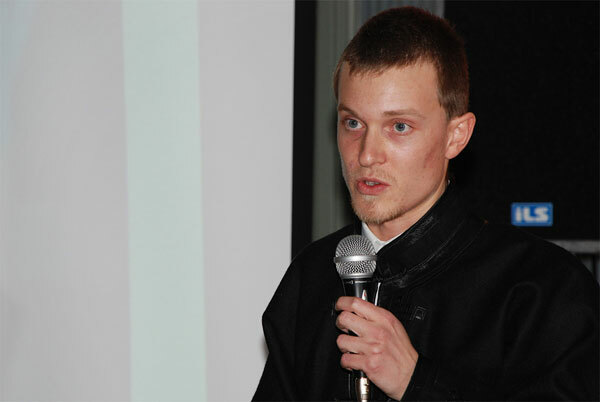 As Dr. Gergely Salát, chief organizer of the event told us, Crazy Wong is a fictitious character; the uncommon idea was inspired by a similar title Rutger Hauer action movie. 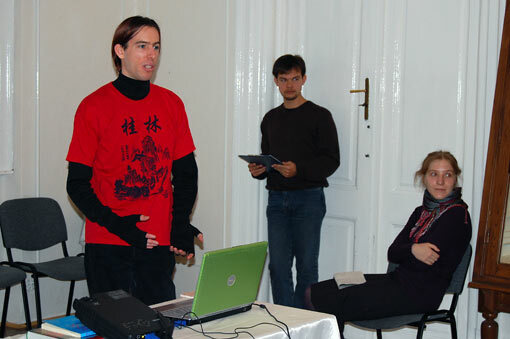 As a warm-up, there were interesting lectures on the lunar new year folk customs of Eastern-Asia. 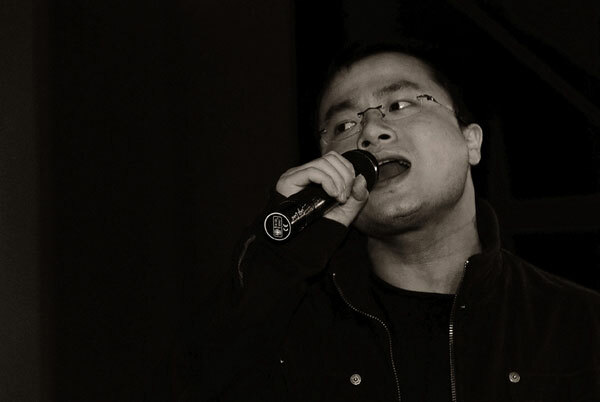 After this, in the break, Asian etno-rap video clips and authentic Cantonese pop hits entertained the participants. 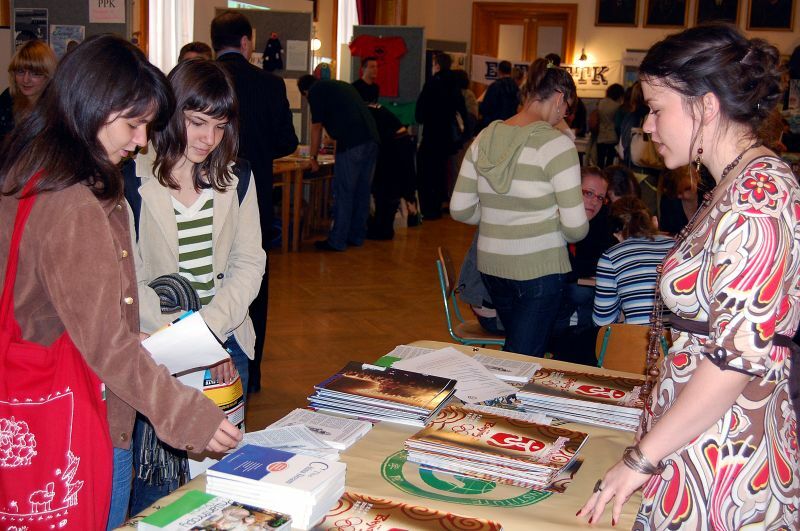 The contests that followed gave the opportunity for the students to compare their knowledge of oriental cultures just as much as their phisical skills. 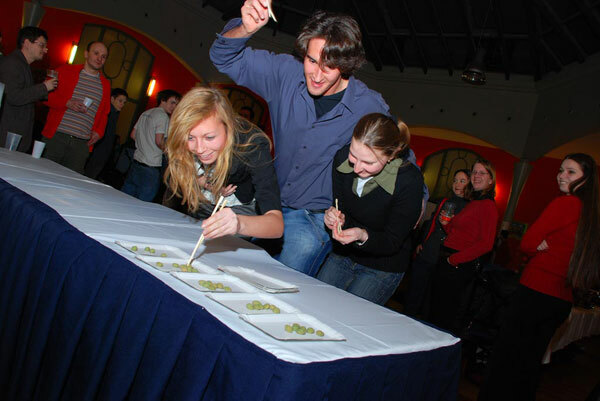 In the contest of distance-running with wasabi balls pinched between chopsticks the students of the Chinese Department triumphed, pálinka (spirit)-inhaling competition brought a draw, while at the end, summarizing the results, the Mongolian students proved to be the best. 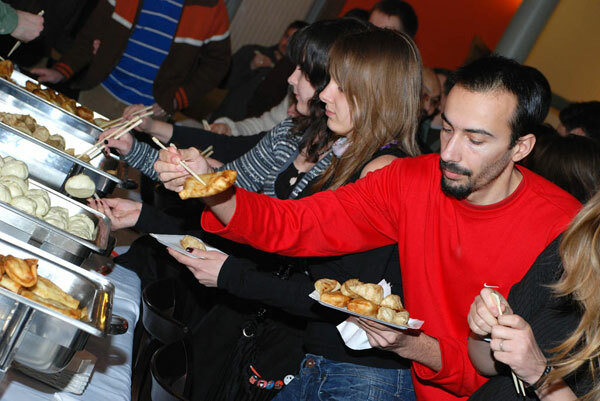 In the course of the evening a common misconception fell through, notably that it is much more complicated to eat with chopsticks that with fork and knife as Europeans do. 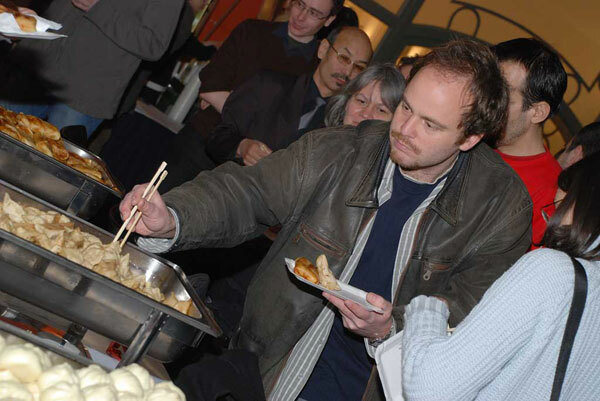 The heaps of food that were served up to the guests disappeared in no time, although it has to be noted that it was snatched apart by professional chopstick-using hands. 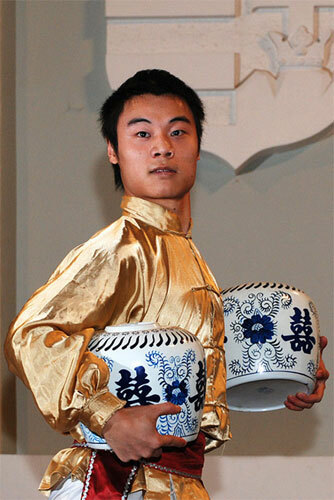 Hosts all agreed that the idea enjoyed undivided popularity, and if Crazy Wong is lucky, he can very well become a mythical character. 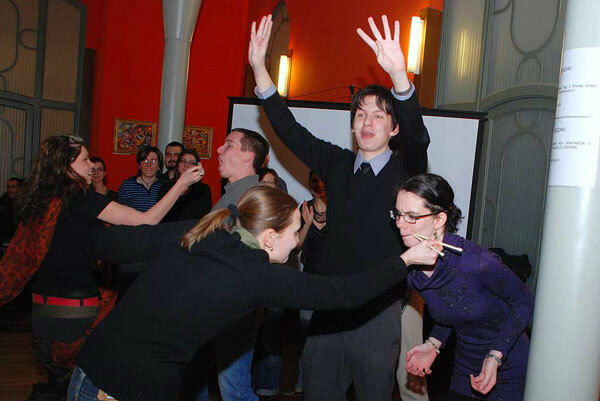 And as such, can probably show up next year too, who knows. 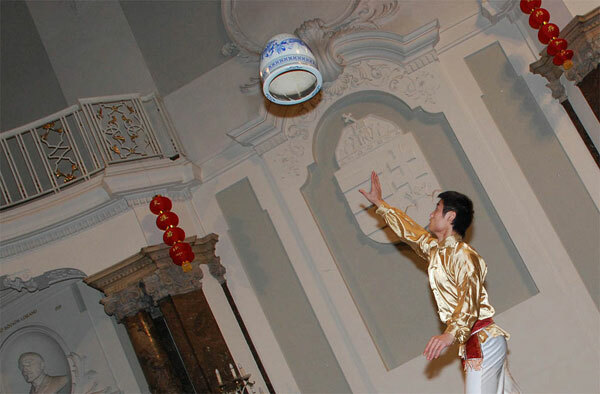 On 22nd February 2008, there were almost 300 guests participating in the gala show of ELTE Confucius Institute celebrating lunar new year. 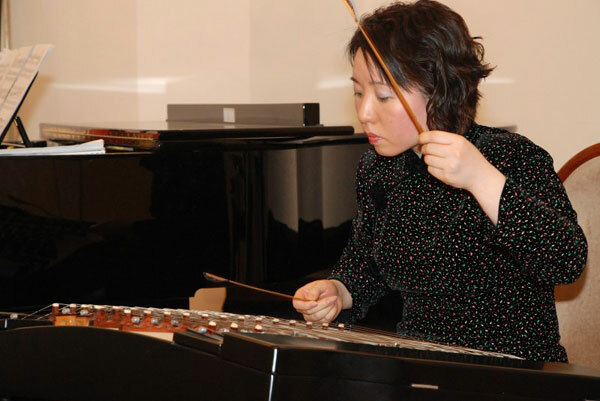 The high standard programme was guaranteed by the „Pro Musica” choir of the Musical Department of ELTE Faculty of Arts (BTK), the Association of Chinese Women Living in Hungary, as well as Mihály Farkas cimbalom player and his orchestra. 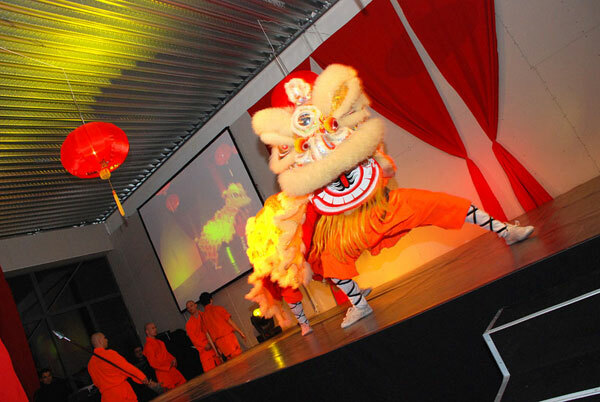 Chi Unit Kung Fu group performed their special choreography called „Lion dance”, which involved the spectators too, and there was also a show by the acrobats of Chinese National Circus, whose breathtaking performance crowned the spectacular evening. 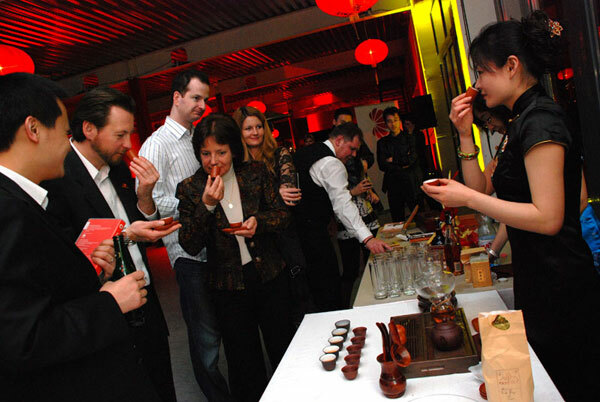 After the stage performances, ELTE Confucius Institute invited the guests to taste traditional Chinese lunar new year dishes and Hungarian quality wines. 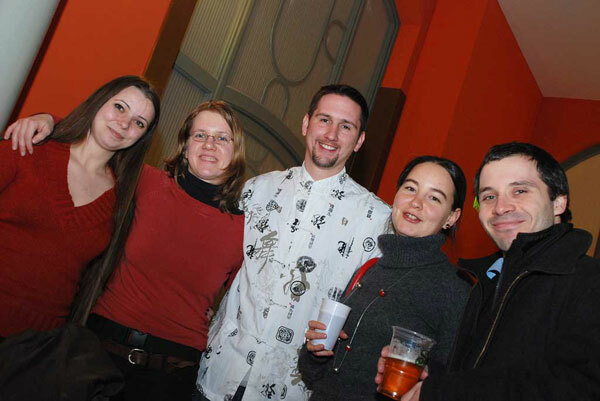 The 2008 year new year’s celebration is the second such ceremonious occasion in the history of the Institute, which at the same time means it has had more than a year of successful activity by this time. 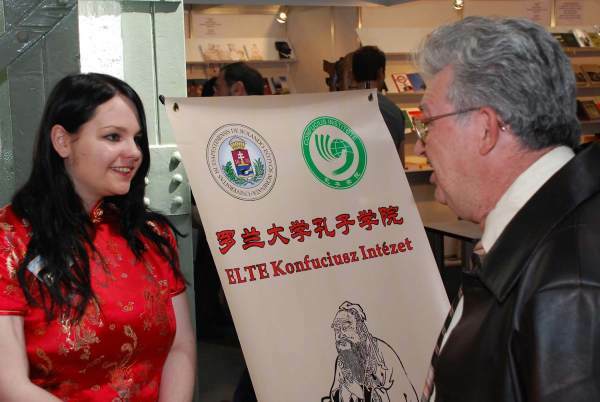 On the banquet after the gala, Dr. Ferenc Hudecz rector congratulated ELTE Confucius Institute on the results it has achieved so far. 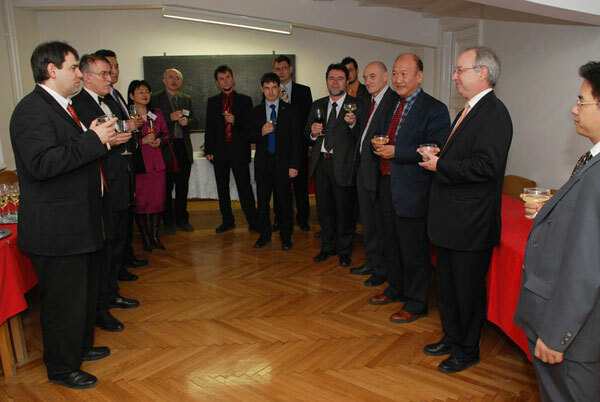 In his new year greeting speech, Zhang Chunxiang, Ambassador of the People’s Republic of China also expressed his appreciation for the achievements of the Institute, and assured Dr. Imre Hamar, director of ECI, of his continuous support. 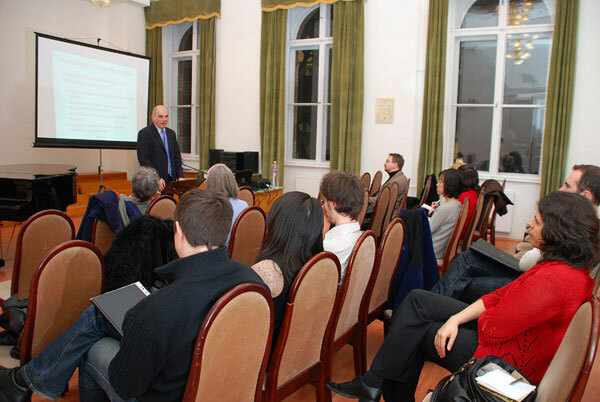 The lecture entitled China and the EU – China and Hungary – Strategies and results took place on 27th February 2008. 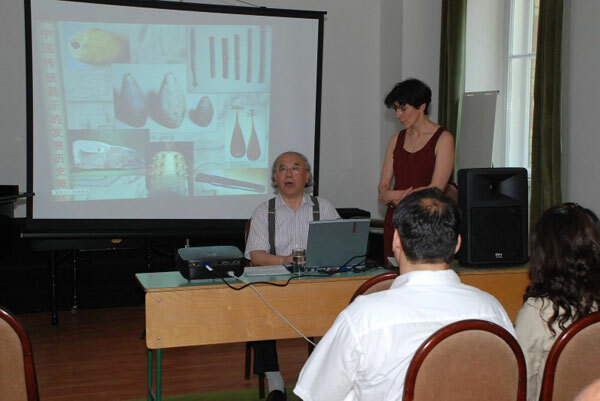 It was the first lecture of a planned lecture series dealing with modern China, in the organization of EKI Modern China Research Centre. 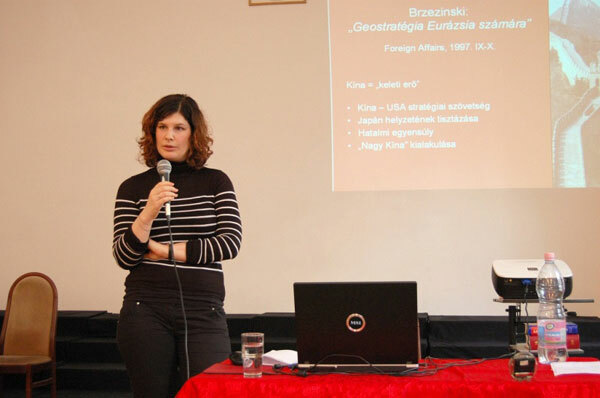 The lecture was delivered by Ágnes Szunomár, advisor of the prime ministerial representative coordinating Hungarian-Chinese economic relations, expert of World Economy Research Institute of Hungarian Scientific Academy (MTA). 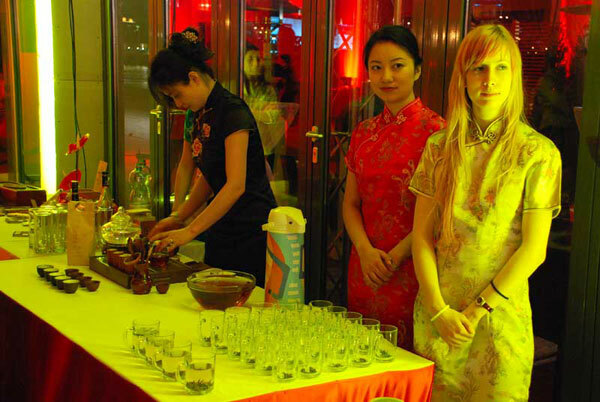 As it was made known, the relations between China and the EU have been undergoing an unbroken development ever since diplomatic relations were officially assumed in 1975. 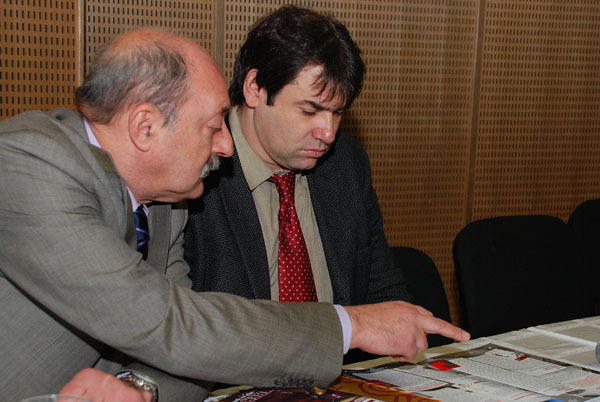 Today, the two parties both consider the other a strategic partner, although debated issues still do occasionally arise. 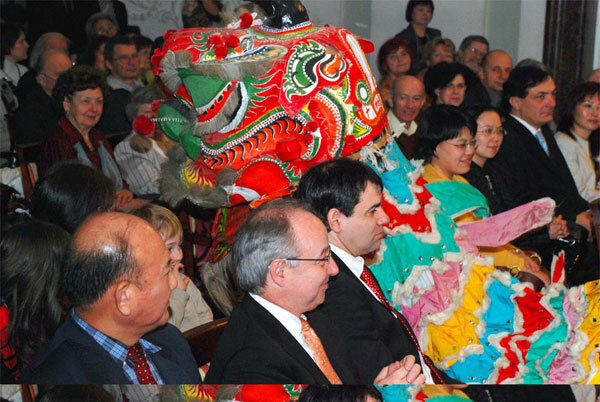 Hungarian-Chinese relations are traditionally amicable, and have been further expanding at a rapid pace since 2003, the year of Prime Minister Péter Medgyessy’s visit to China. 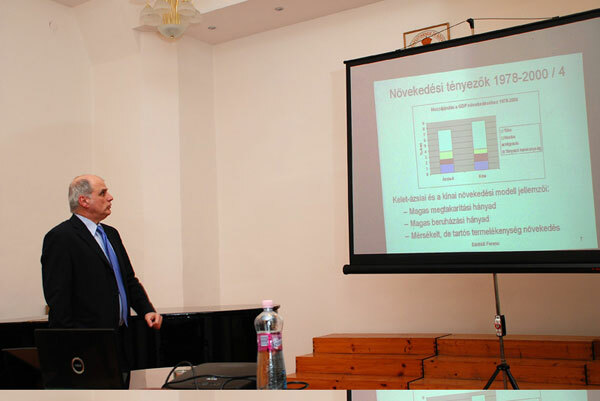 The volume of two-sided trade between the countries keeps growing from year to year, and although the commercial surplus of China is still significant, Hungary’s deficit has been decreasing in the recent years, due to increasing Hungarian export. 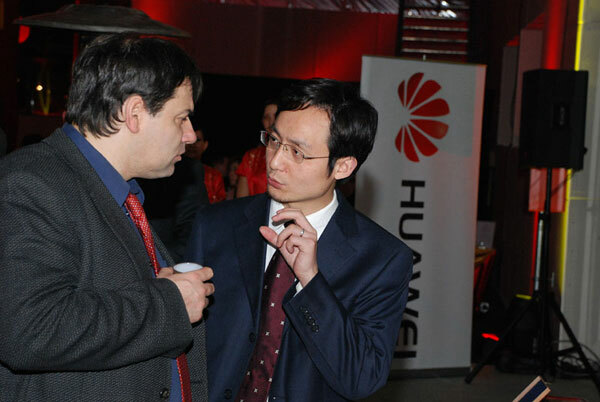 ELTE Confucius Institute represented itself at the lunar new year celebration organized by Huawei Technologies Kft. 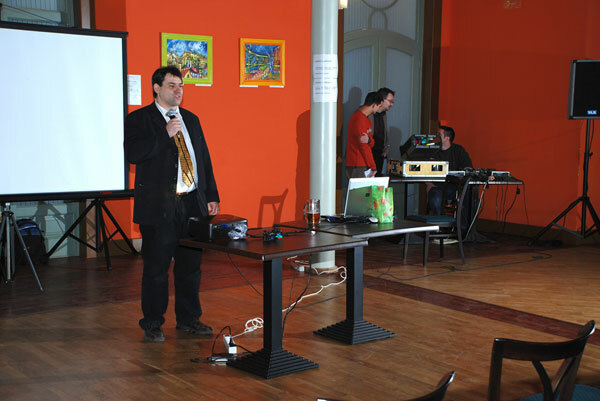 and Vodafone Hungary Zrt., held in the evening of 4th March, 2008. 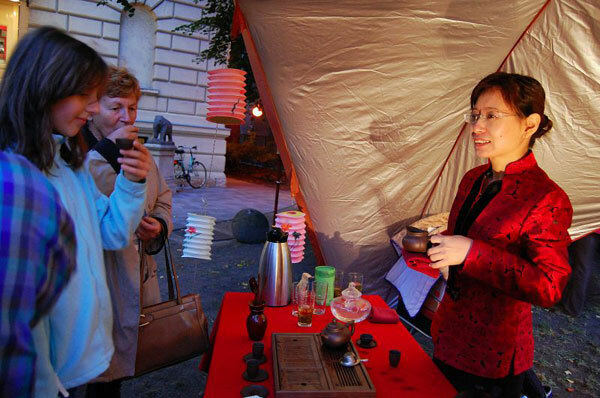 Our Institute contributed to the programme by performing traditional Chinese tea ceremony, and also offered the tea for drinking. 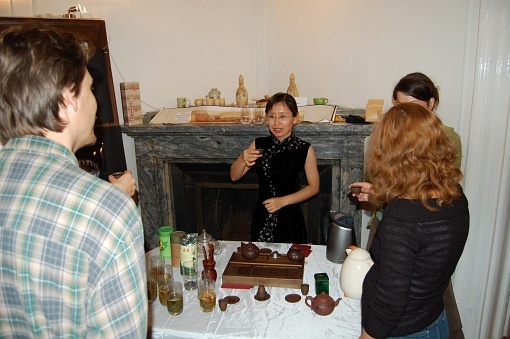 ’Professional’ tea drinkers and amateurs interested in tea culture were both welcome to taste the precious brews. 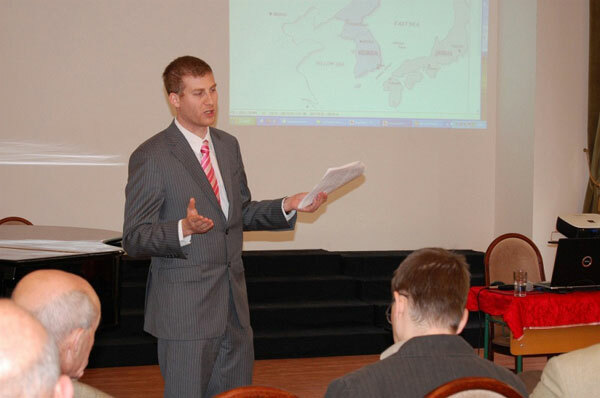 The second lecture of the planned lecture series dealing with modern China in the organization of ECI Modern China Research Centre was entitled Chinese Economy – a success to last, and took place on 25th March 2008. 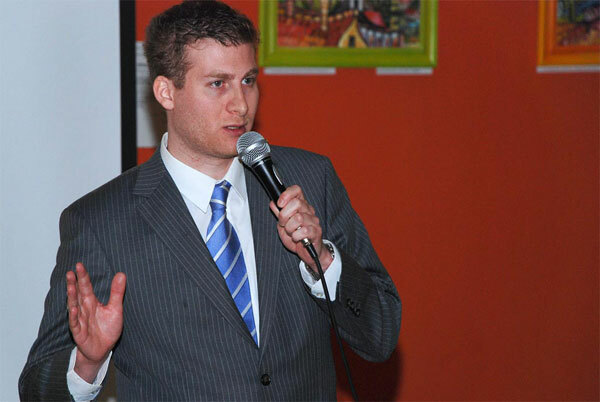 The lecturer, Ferenc Bánhidi economist, member of National Telecommunications Committee told us, that the strategy China adopted in the past 30 years to develop its economy is not unprecedented: it was successfully applied in more other Asian countries during the recent decades. 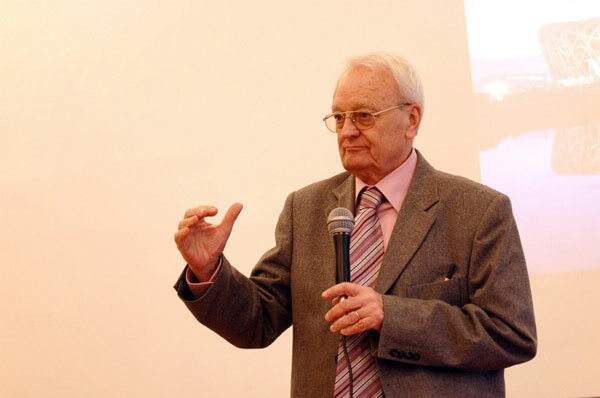 According to this method, the key issue in the development of economy is not efficiency, but the growth of the capital invested. 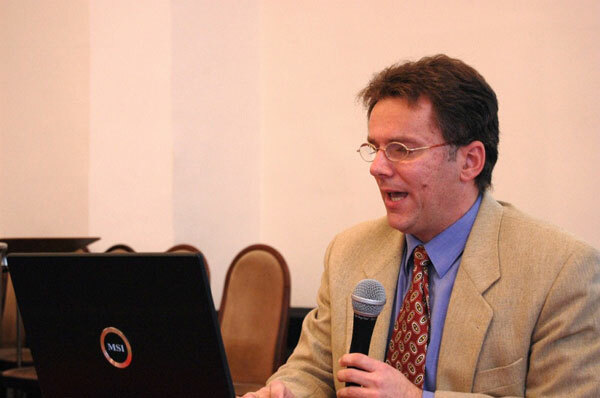 Chinese reforms can be divided into two steps: as the first, in the 80’s they started with some more careful changes, while in the second phase, in the 90’s more radical measures were taken, which, however, escaped the world’s attention. 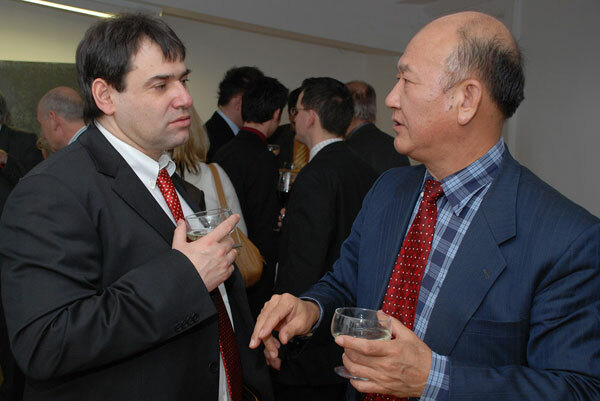 The most head-aching decisions have already been made between 1997 and 2000, and China also managed to consolidate the income part of the budget soon afterwards. 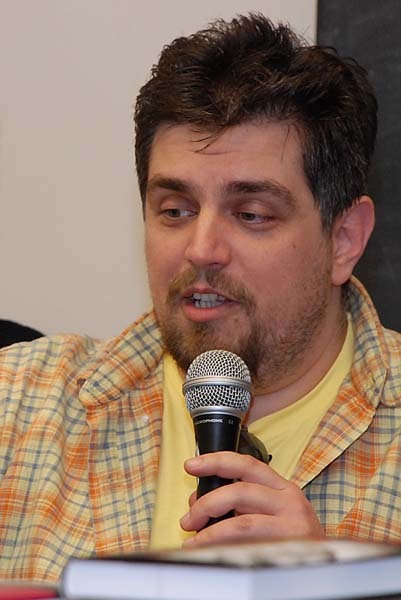 It must be noted, though, that the reforms demanded the dismissal of tens of millions of employees. 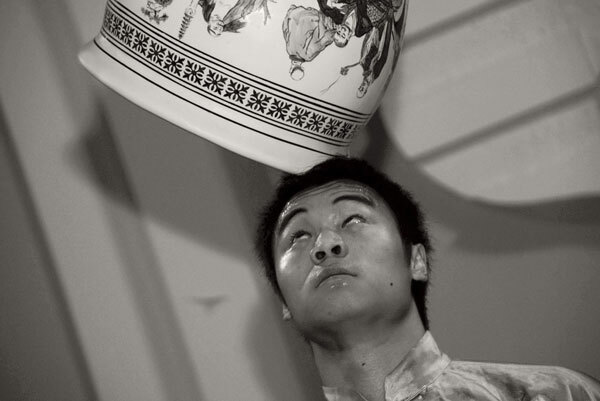 It is the peculiarity of the reforms that by carrying them through China does not aspire to a new role, but its aim is to regain the positions it once occupied. In 1820 China produced 32,9% of the world’s GDP, but by 1978, this share dropped to 4,9%. 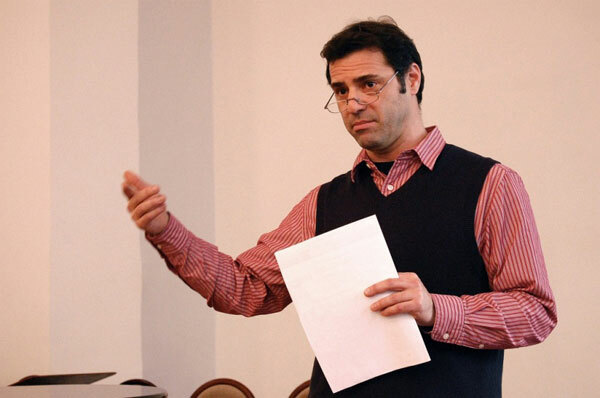 In Bánhidi’s assumption, by 2030 China will produce 23% of the world’s GDP, which will indeed qualify the country as an economical superpower, but will not enable it to replace the USA and Western-Europe in becoming the centre of world economy. 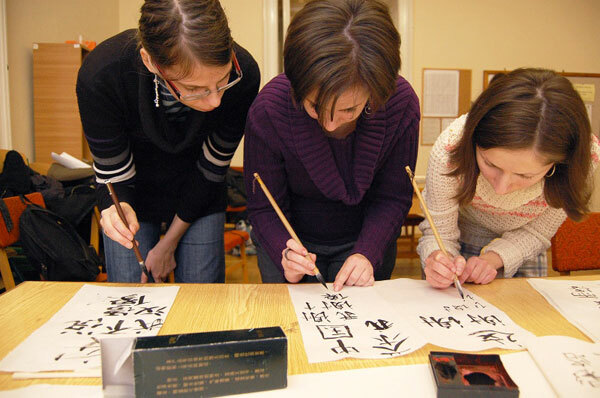 On April the 17th, the ELTE Trefort Ágoston Demonstration School has held an open day, presenting the different methods of Chinese teaching to the public. 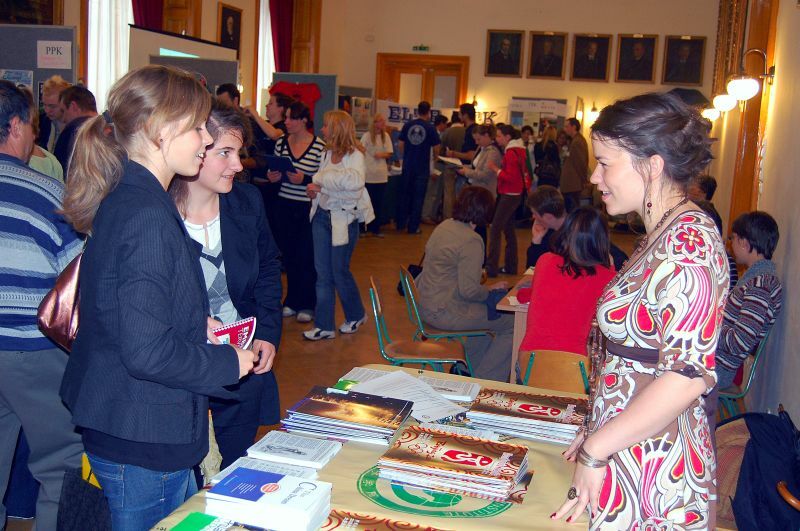 From September 2007 the students can choose to study Chinese language as an optional secondary foreign language in the school, and soon – for the first time in Hungary - even take it as an eligible graduation subject. 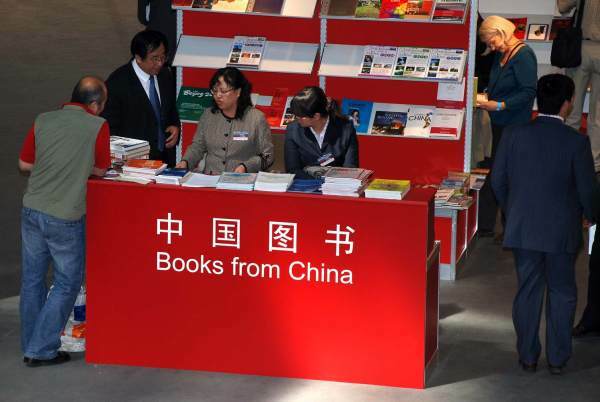 The Guest of Honour of this year's International Book Festival is China: the country with the largest population and an incredible pace of development, not only regarding its economy, but also its book culture. 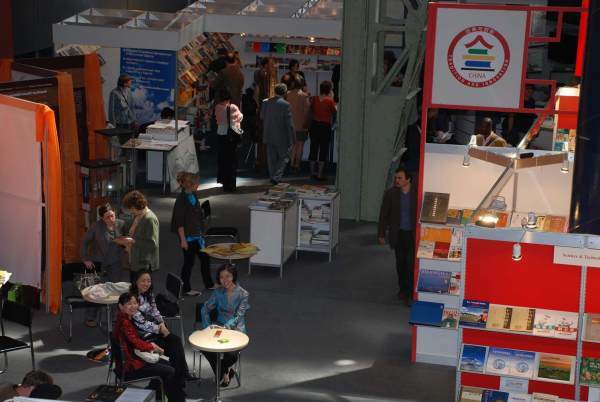 At the Book Festival, China shall present its publishing industry, contemporary literature and book industry at a spectatular stand, and also send more than 60 authors, publishing professionals, and cultural leaders to Budapest. 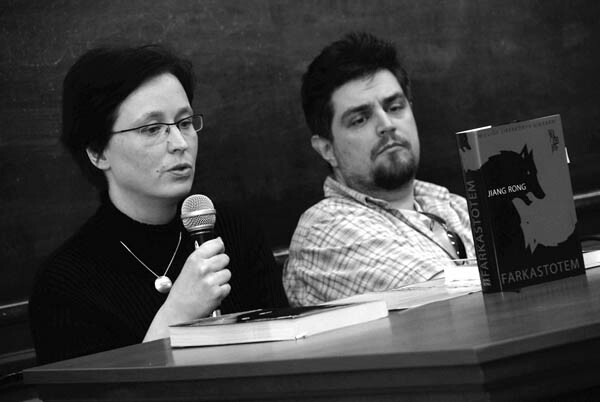 The hungarian publishers timed the publication of nearly fifty titles of different genres on this occasion: translations of modern contemporary Chinese literary works (among them the novel of the Chinese Nobel Prize winner, Gao Xingjian), a book presenting the short stories of 40 popular contemporary authors, the latest works of Chinese best-seller writers, and beautiful albums, providing an overview of Chinese culture, science and arts as well as several different travel guides and maps. 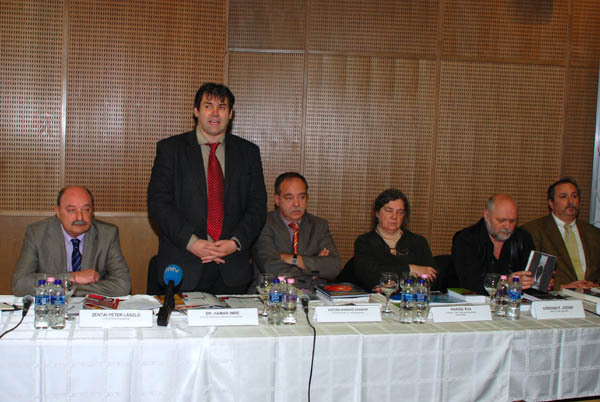 On the press conference held at april the 23th, ELTE Confucius Institute was represented by Dr. Imre Hamar, the head of the Institute. 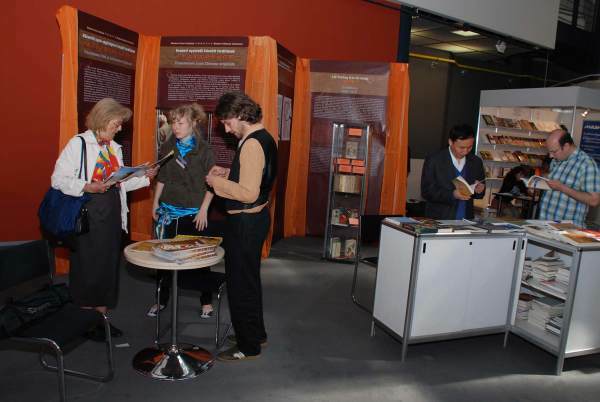 The Intstitute displays a small part of the valuable material that was presented at Beijing the past year, during the Chinese-Hungarian book exhibition ’Through the bridge of words…’. 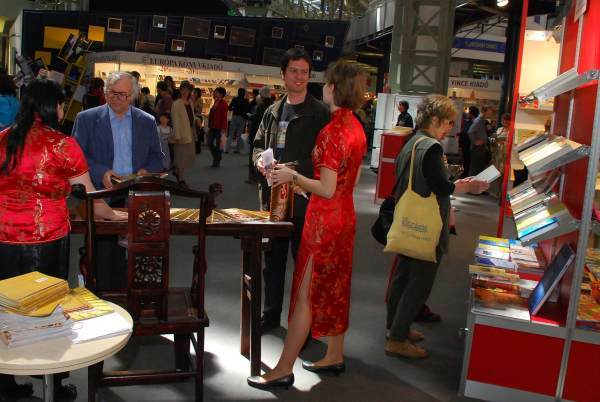 On the stand of ECI visitors may view several outsanding contemporary chinese work that had already been published in Hungarian, and also a few dozen other works, that had been translated either directly from Chinese, or from another transmitter language. 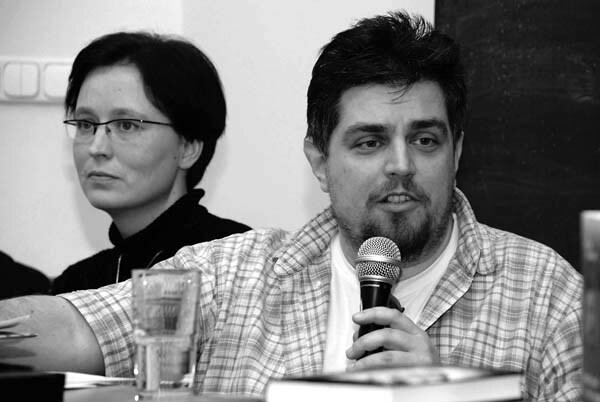 The XV.th, jubilee Book Festival’s opening ceremony will be held by István Hiller, educational and cultural minister, and Wu Shulin - the vice-minister directing the Chinese press and publishings –on the 24th of April, Thursday 15:00, at Millenáris Theatre. 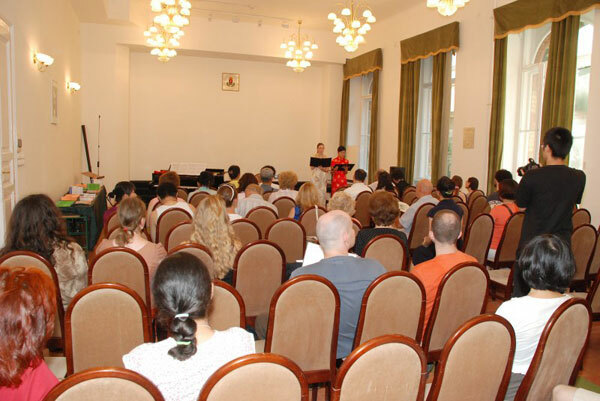 The Library of the ELTE Confucius Institute is equipped with thousands of books, textbooks and audiovisual teaching materials both in Chinese and in Western languages, and welcomes all readers. 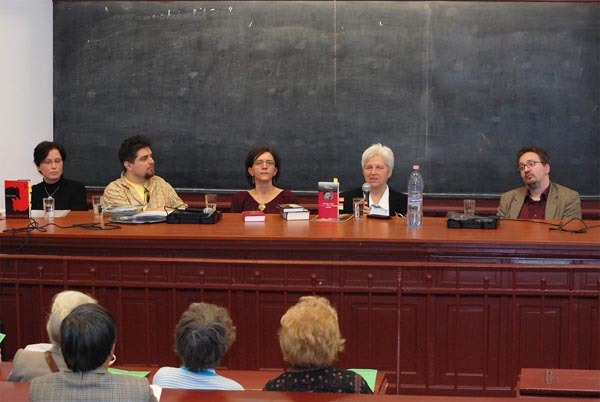 On April the 24th, at Buzágh lecture hall, the Modern China Research Division of ECI has held a book presentation and an additional round table discussion, celebrating the publication of several chinese literary works. The publication of these tomes were timed for the opening of the XV. 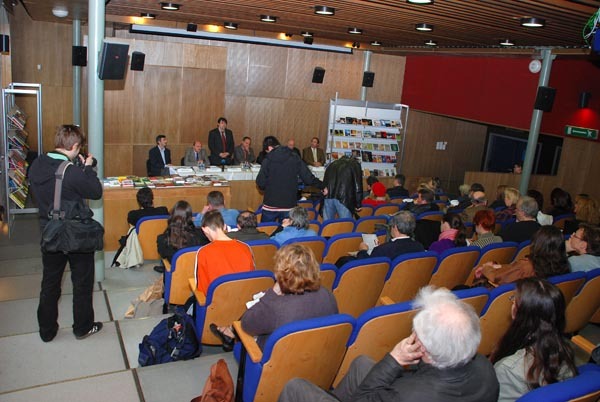 International Book Festival, that was held the same day. 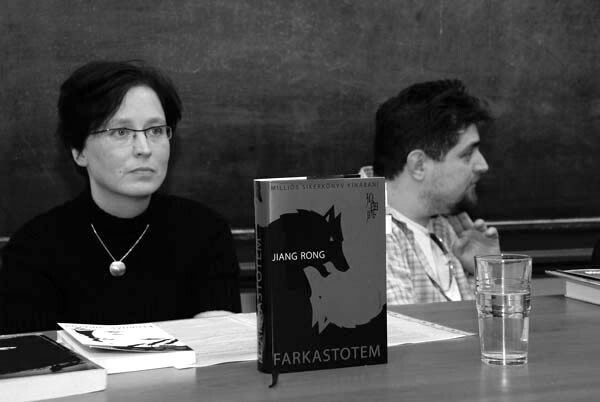 Participants were: Éva Kalmár - sinologist, translator, and editor of ’Chinese short stories of the 20th century’ /publisher: Noran/, Klára Zombory – sinologist, and translator of Jiang Rong’s ’Wolf Totem’ and Fan Wu’s ’February Flowers’ / publishers: Magvető and Ulpius/, Réka Madaras-Takács sinologist-tibetologist, translator of the contemporary Tibetan anthology ’Windows on Tibet’ /publisher: Noran/, and Attila Németh, literary editor of the Galactica Magazine, and editor of ’Metagalactica 10.’, a special issue introducing the prime of the Chinese Science-Fiction -scene. 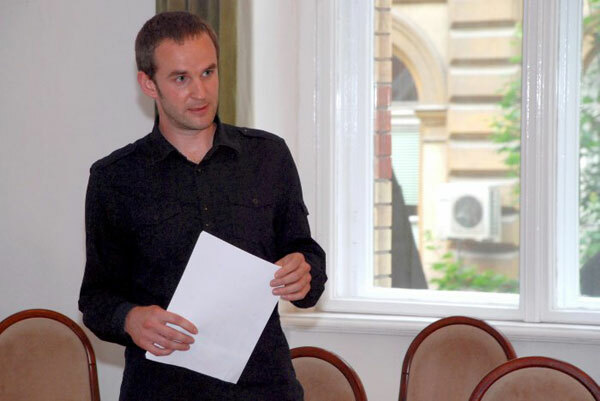 The discussion was moderated by Dr. Gergely Salát, executive of the ECI Modern China Research Centre. 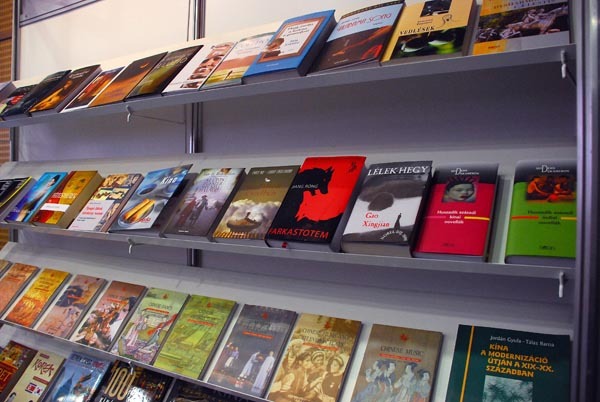 the contemporary chinese literature is exceedinly diverse, all kinds of themes, styles and literary trends coexist in a vast scene, so we can hardly speak about the ’Chinese literature’in general. 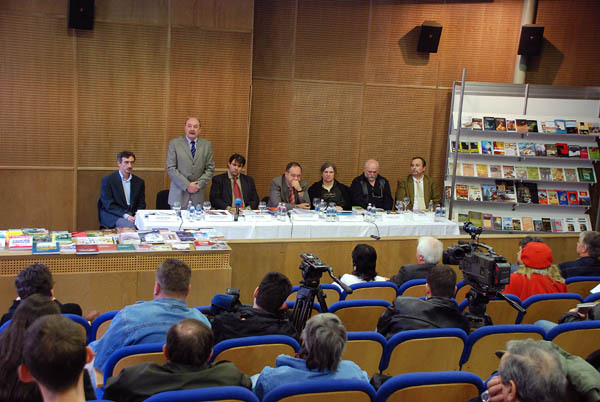 This multifarious literature already bestowed the world several literary masterpieces, and the fact that part of these works became available in Hungarian, is a great improvement. 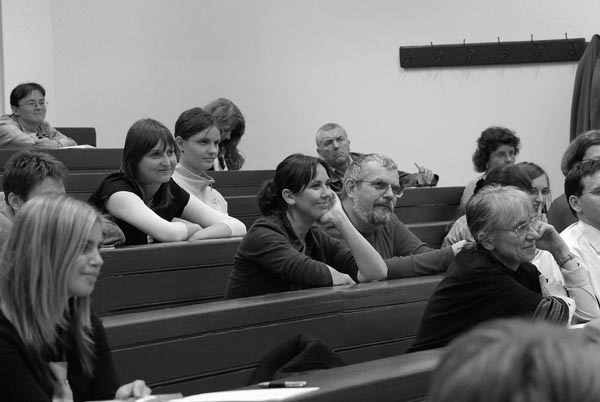 Furthermore: although authors - such as Jiang Rong, or Gao Xingjian – are subject to great criticism (as in China, as in the West), according to the participants of the discussion they still create valuable works, worthy of being part of the international literary scene, while many of the judges are motivated by personal reasons or simple ignorance about Chinese literature. 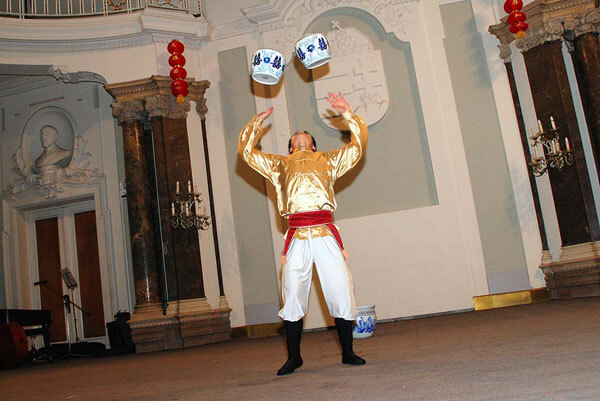 In the latest decades in China performing arts have also undergone significant changes. 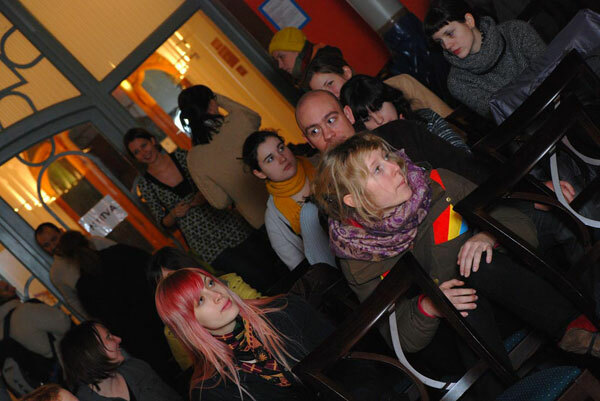 The audience comes up with new expectations, and arts have to ’sell themselves’ at the market. 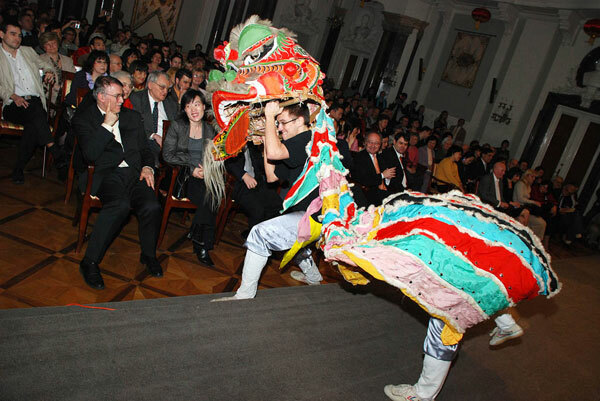 The lecture deals with the present situation of traditional Chinese stage arts such as Beijing opera, kuaiban or xiangsheng, and also introduces ’import’ genres, like drama, opera or ballet. 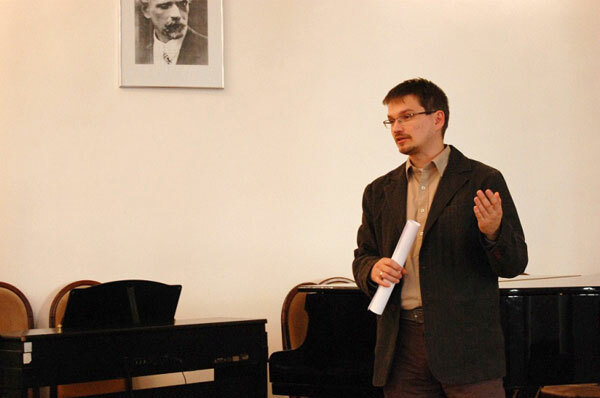 Art has become a commodity, says the lecturer, and it is interesting to observe what the Chinese audience does and does not buy, since it is very representative of the taste, way of thinking and intellectual needs of today’s Chinese. 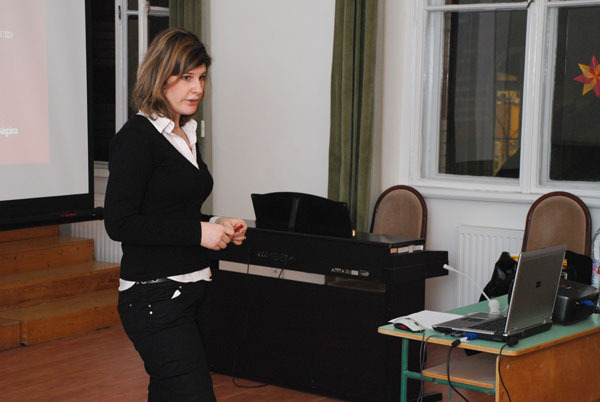 Ágota Révész is sinologist and theatre director; presently she is working on her doctoral dissertation on Beijing opera at University of Theatrical and Film Arts. 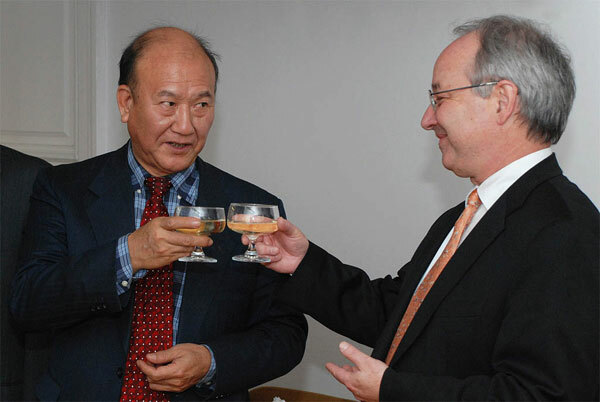 On 9th of May 2008 Jia Qinglin, one of China’s most influential politician, the fourth ranking member of the Politburo Standing Committee of the Communist Party of China, chairman of Chinese People's Political Consultative Conference visited ELTE. 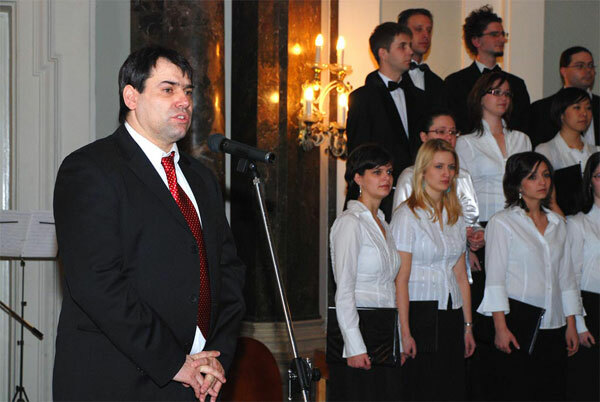 The guest was greeted by Dr. Huszt Ferenc, and was given a small performance by the students of the ELTE BTK Chinese Department. 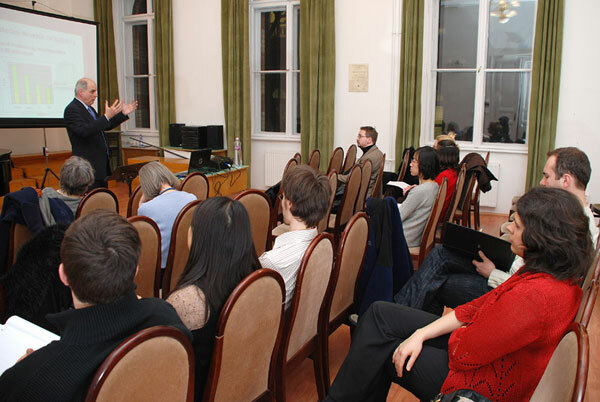 Prior to his arrival to Hungary, Jia Qinglin expressed his intention to familiarize with ELTE, and more specifically the activities ELTE BTK Chinese Department and the Confucius Institution during his wisit. 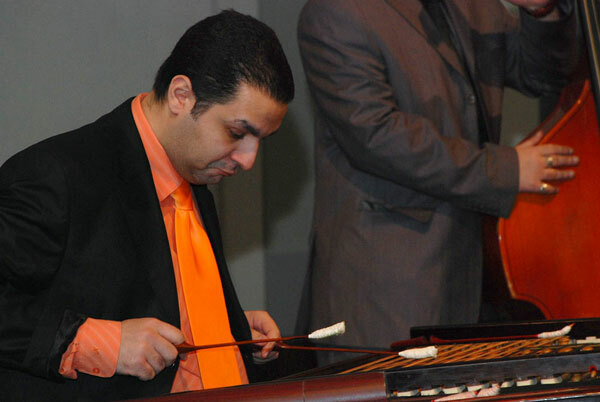 His Reception was held in the ELTE’s Egyetem square building’s assembly hall. 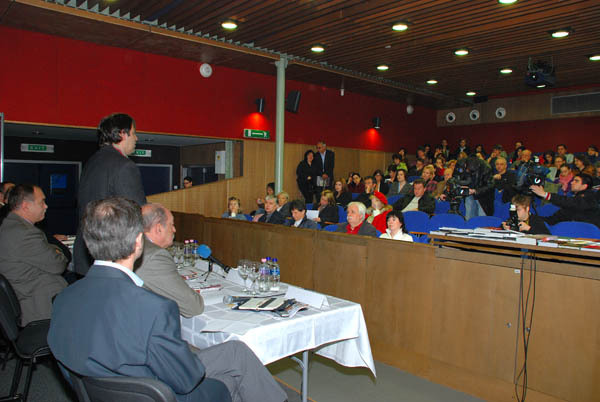 Dr. Hudesz Ferenc, rector of the ELTE in his greeting speech recounted that ELTE is the largest and the oldest continually functioning University in Hungary. 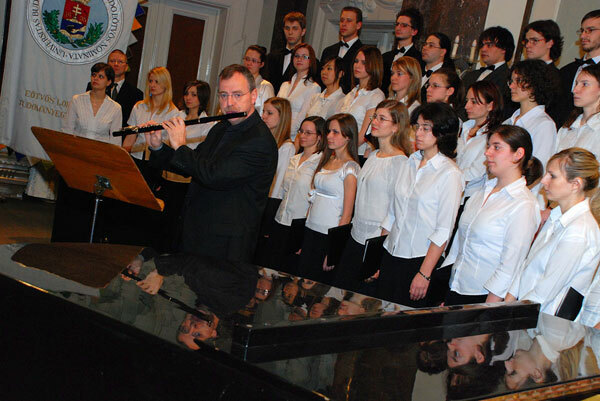 It’s student body and it’s teachers always played an important role in the scientific and public life of Hungary. 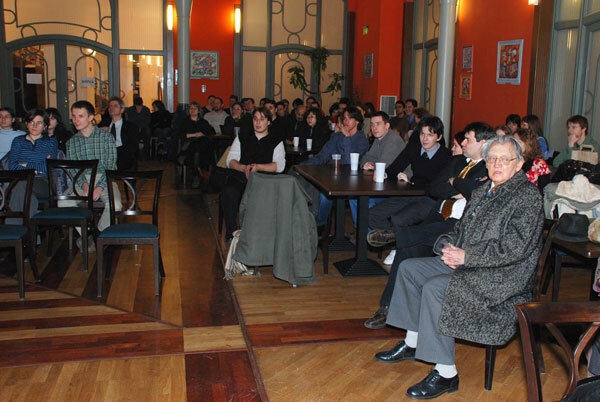 The University presented numerous Nobel prize winners, academicians, Constitutional Court judges and political leaders. 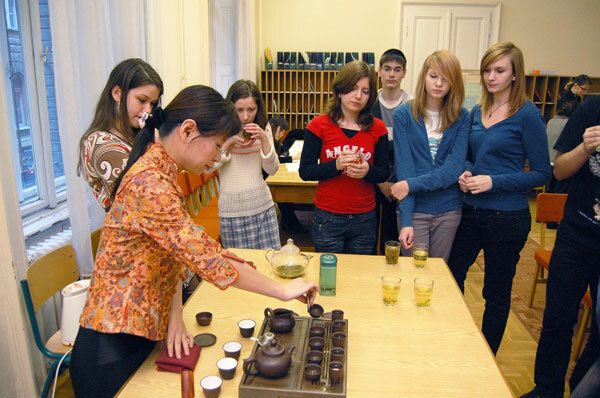 The Institution of the Far East was founded in 1924 in the forbearer of the ELTE, since then students can take courses related to Chinese language and culture. 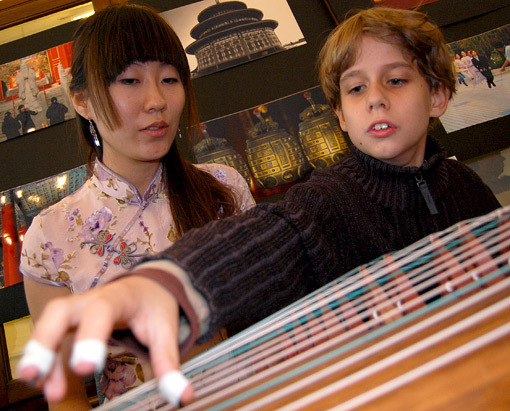 From the 1990’s Chinese education flourishes anew, this year more than 150 students were attending the Chinese faculty, and the number of teachers increased as well. 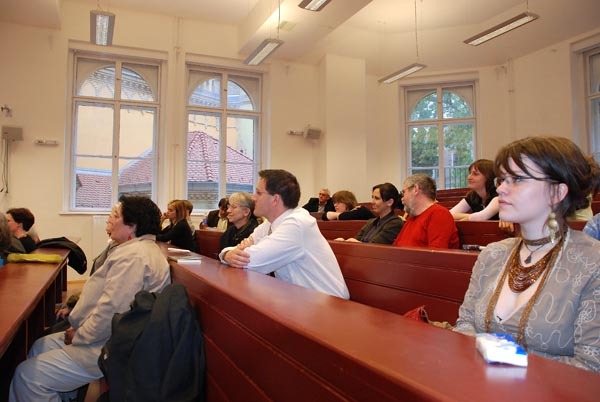 In 2000 the Chinese Ph.D course started, and from the January of 2008, Chinese studies are governed by a separate division, the Chinese department. 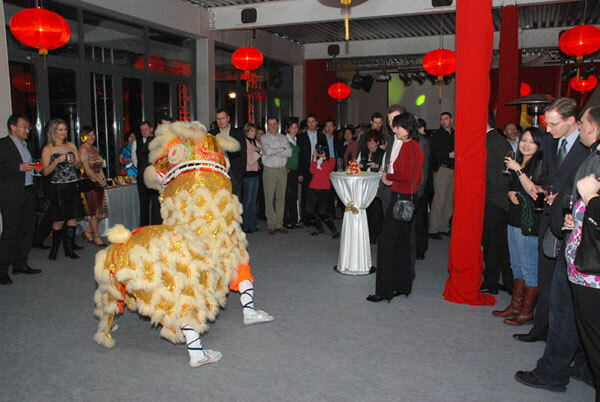 In 2006 The Confucius Institution was founded, which plays an important role inside the university and in the whole country as well as the most important center of Chinese language and culture. 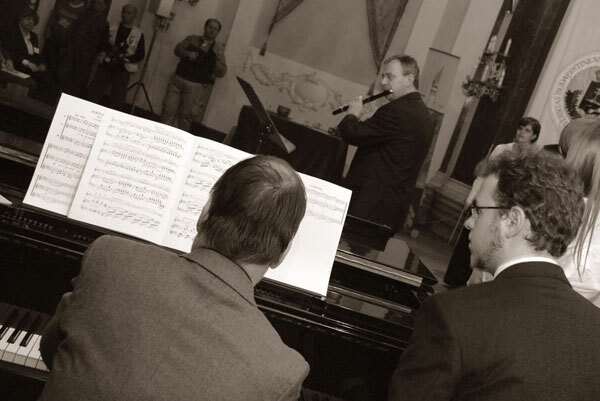 After the rectorial speech, the students of the Chinese Department gave their performances: Csaba Nahoczky presented a Chinese cabaret farce, Zoltán Csató sang a song about friendship, Gábor Kovács and his disciples demonstrated a martial art exhibition. 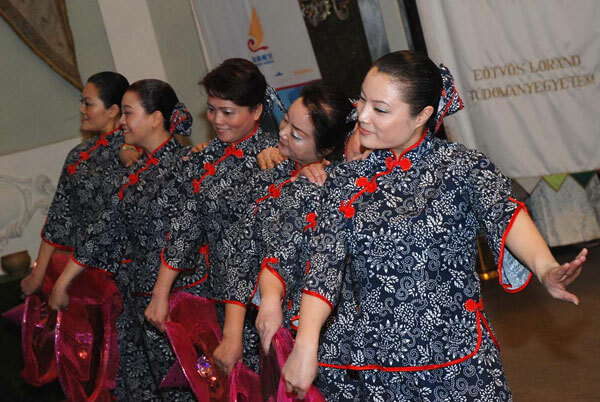 The ending act of the cultural pragramme was the performance of the Duna Dance Company. 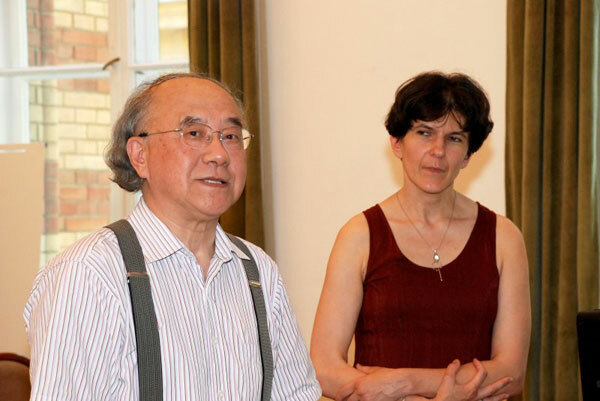 This was followed by a speach of Jia Qinglin, in which he expressed that he is glad to see students and teachers so familiar with Chinese language and culture. 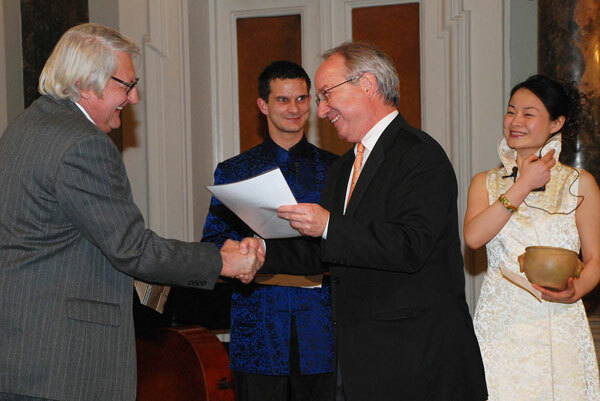 He thanked ELTE to sustain a Chinese Department (uniquely in this country) as well as the Confucius Institution. 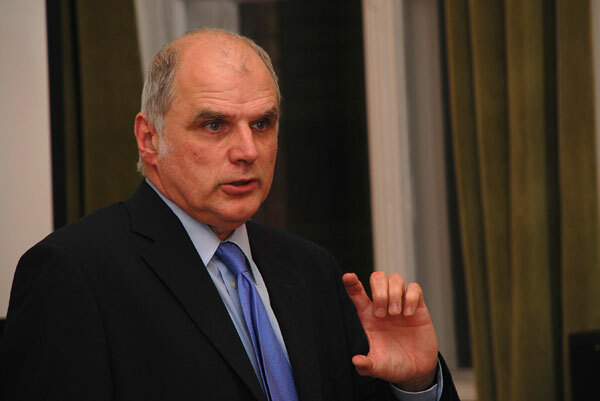 He also signified, that the Chinese state assisted foreign Chinese education, and it plans to continue to do so in the future to aid ELTE’s work. 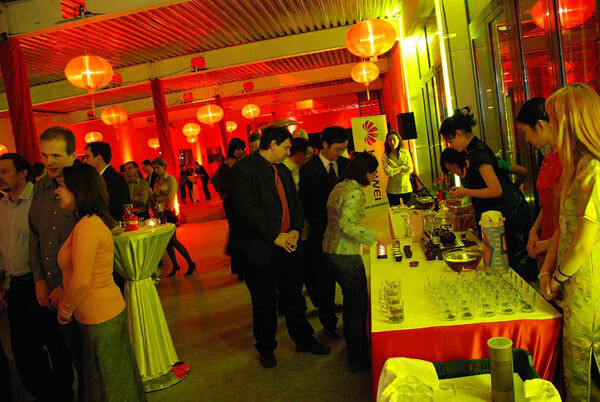 To demonstrate this the Chinese delegation brought more than sixty boxes of presents to the ELTE Confucius Institution. 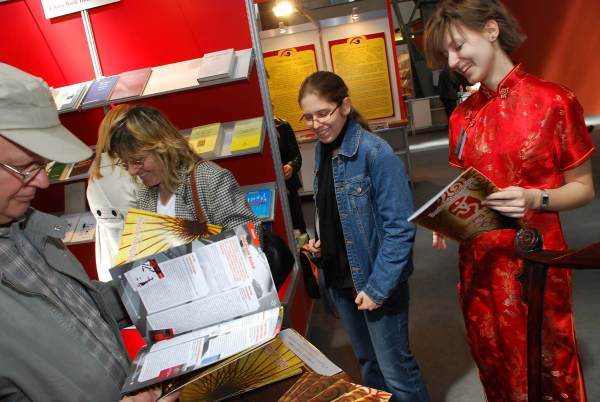 The boxes contained multimedia learning materials Chinese language textbooks, dictionaries, learning softwares, as well as Olympic souvenirs, DVDs and other technical devices (for example an LCD television). As a closing act Jia Quinglin had a chat with the students who participated in Chinese language education, and congratulated them for their high level language skills. 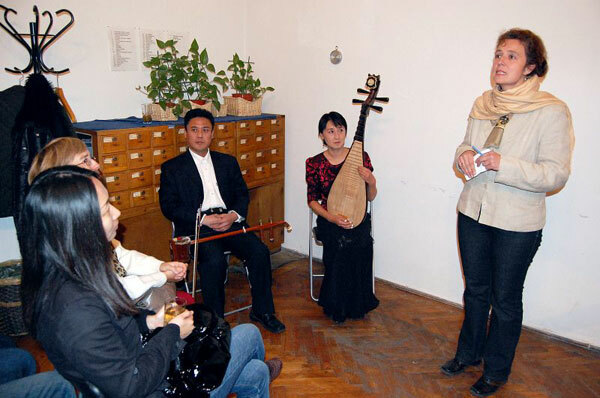 On the 15th of May, 2008 Zhang Qian, professor of Beijing Chinese Music Academy has held a lecture titled "The development and reform of traditonal Chinese musical instruments" at ELTE Confucius Institute. 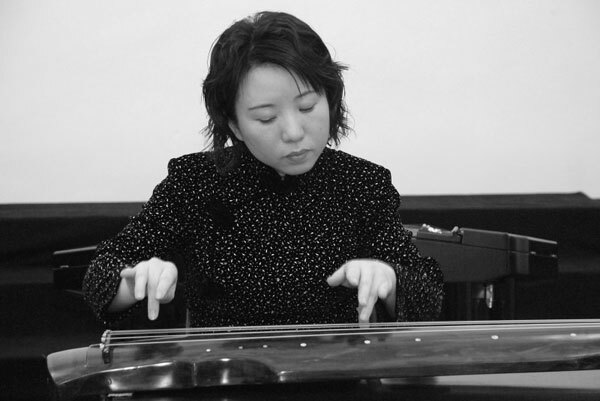 The lecture was followed by the guqin (traditional Chinese dulcimer) concert of Liu Yuening, artist of Beijing Central Musical Academy. 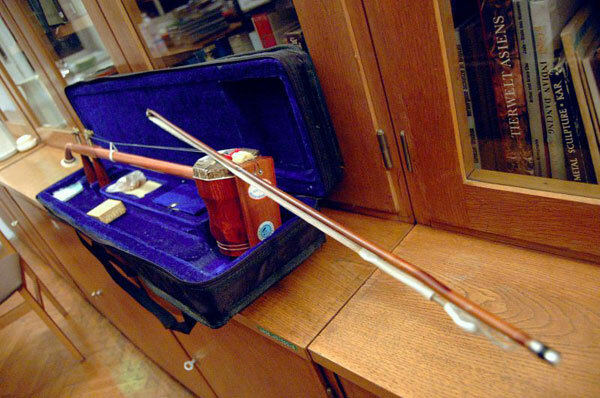 The audience could gain some insight into the historical development of classical Chinese percussion, stringed and wind instruments. 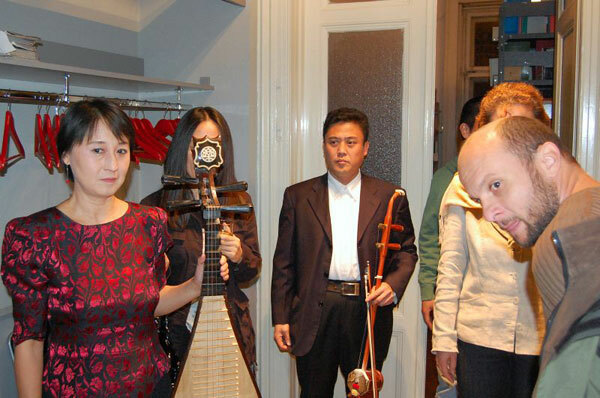 Speaking about the contemporary Chinese musical scene the Professor said: the horizons of folk music collecting in China has widened during the recent years. 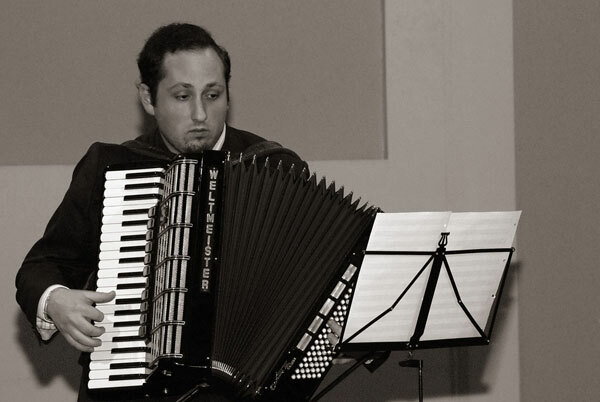 Nowadays several department specializes in folk music and offers a specialized education of the field. 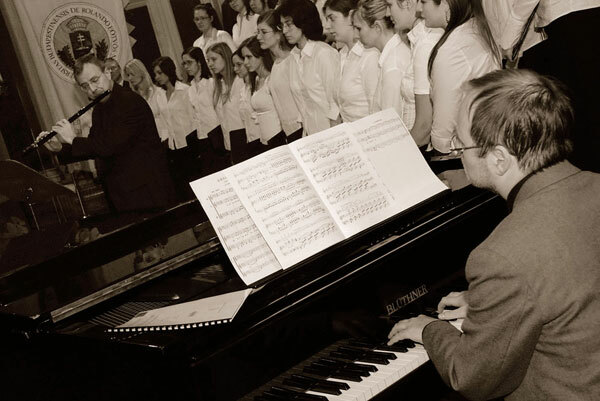 Learning starts at grade school, and it is a 15-16 years long development until students become artists, or researchers. 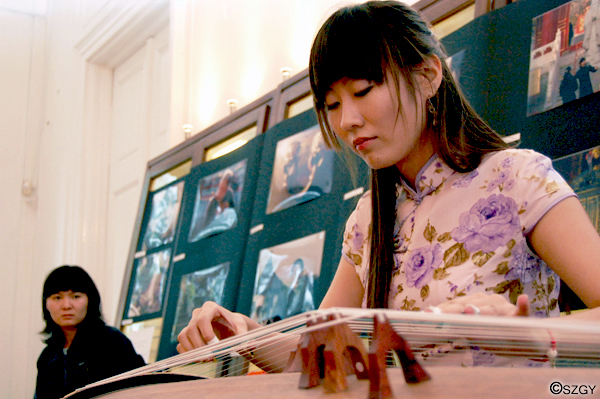 The lecture was followed by the guqin (traditional Chinese dulcimer) concert of Liu Yuening, artist of Beijing Central Musical Academy. 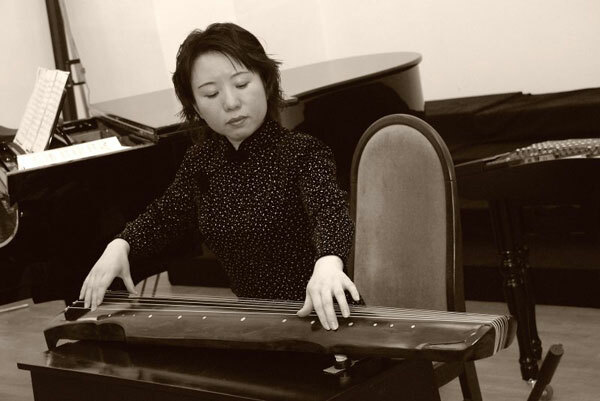 The first piece was Wei Yangming’s dulcimer-solo „Thought”, then Xiang Zuhua and Mao Kuangping’s symphonic poem – „Sea pass”, and a solo, entitled „Rippling stream”. 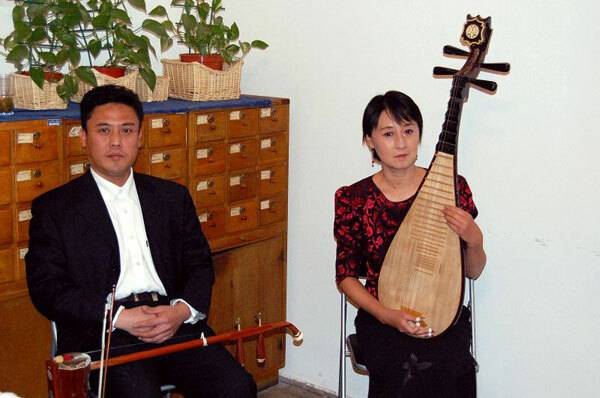 This was followed by a masterful rendition of a Jiangxi folk song: „Azalea”, and finally; „Roaring river” by Zhai Yuanguo and Gui Xili. 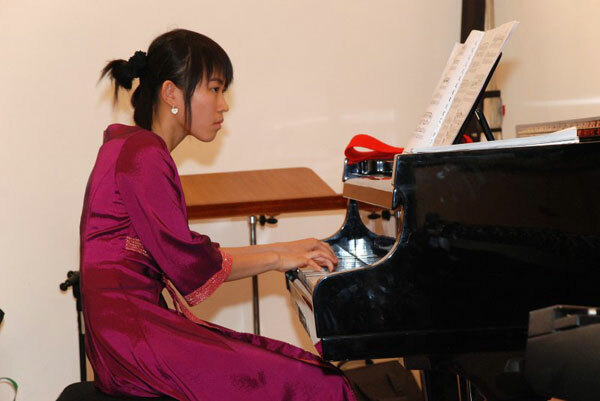 Liu Yuening was followed on piano by a student of Liszt Ferenc Musical Academy – Fu Rui. 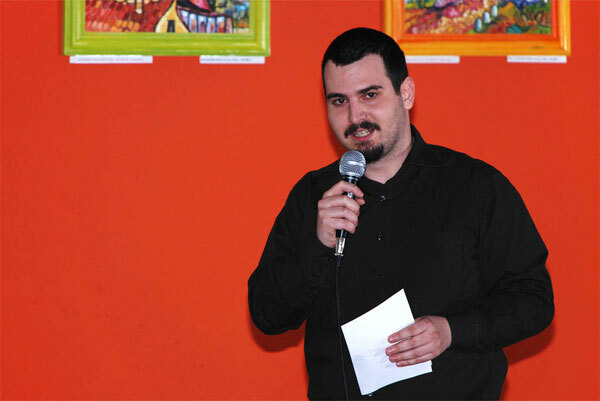 At May 16-17 a cultural anthropoligical festival – called „Symbiosis days” – was held at DocuArt’s venue. 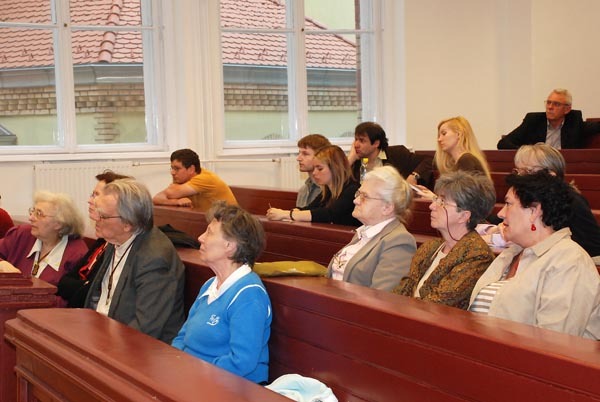 Apart from being introduced to different cultures and subcultures, visitors could gain insight into the religions of the World as well as different methods and customs of health preservation through lectures and round table discussions. 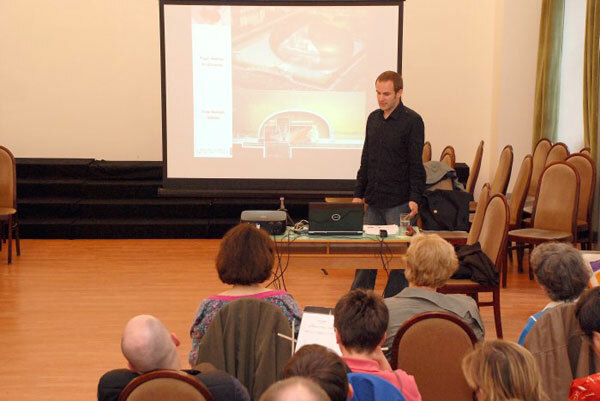 Interesting workshops (motion- and drama-workshop), screenings and photo exhibitions also colored the program. 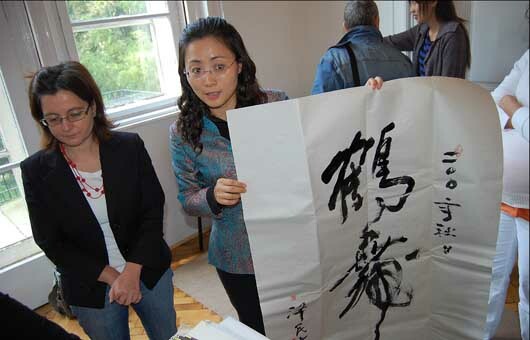 ECI was also present at the event with a calligraphy workshop, where Karsai Zsuzsanna and Koletár Krisztina helped inquirers to get familiar with the basics of traditional Chinese calligraphy, and use of ink and brush. 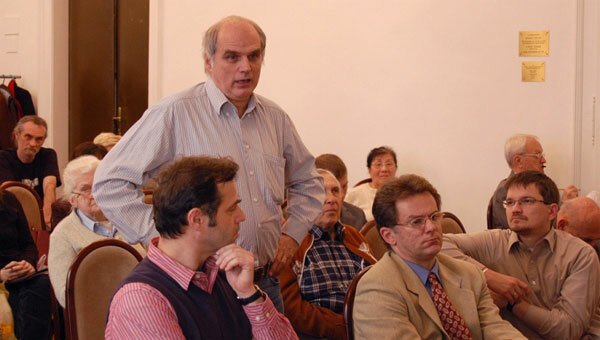 At May 20th (2008) Mazzag Márton architect (associate of the Zoboki, Demeter and Co. architect’s firm) has been the guest of EKI’s Center for Modern Chinese Studies. 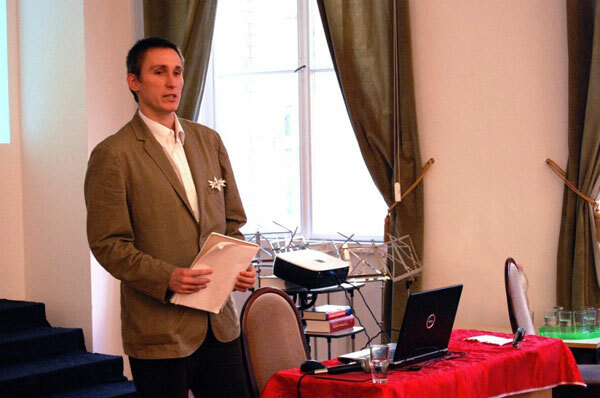 Details from the lecture entitled "Beijing Olympics, according to an architect": It’s a century-old tradition that cities holding the Olympic Games raise new buildings to celebrate and accomodate the event. 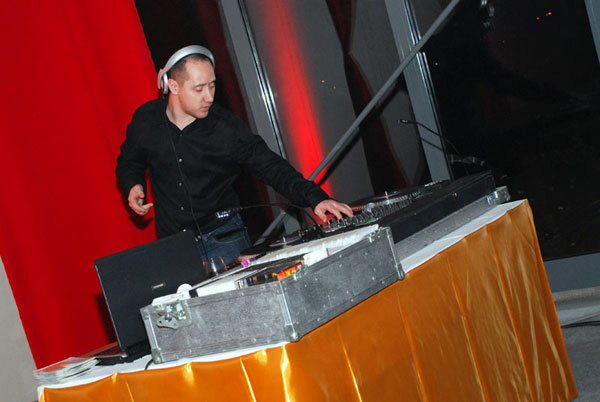 Being that the Olympics is basically publicity for the city itself as well, the hosts usually strive to show the latest achievements of architecture and technology in the designs of stadiums and sports centres. 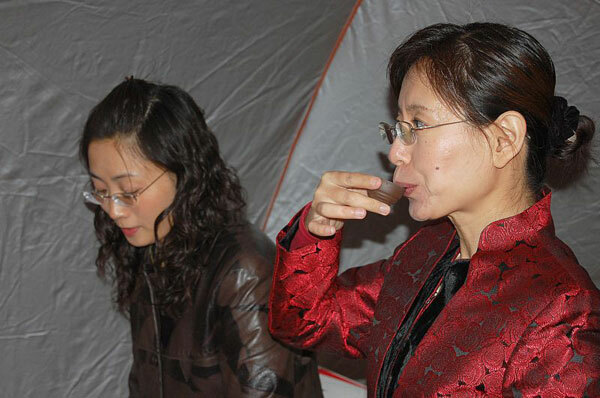 It was no different for Beijing either. 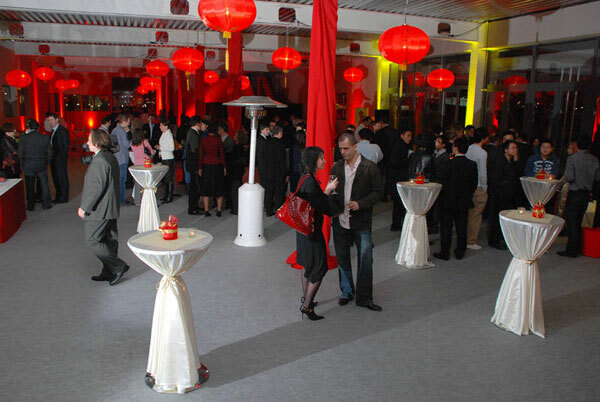 Right after achieveing the right to organise the Event, the Chinese has begun planning a large-scale reorganising of the capital, and designing sport centres. The vision of the new Beijing landscape was dreamed up by Albert Speer Jr. There was an international tender for the right to design the main buildings and thus, the most spectacular ones are a result of cooperation between Chinese partners and well-known international architect firms. 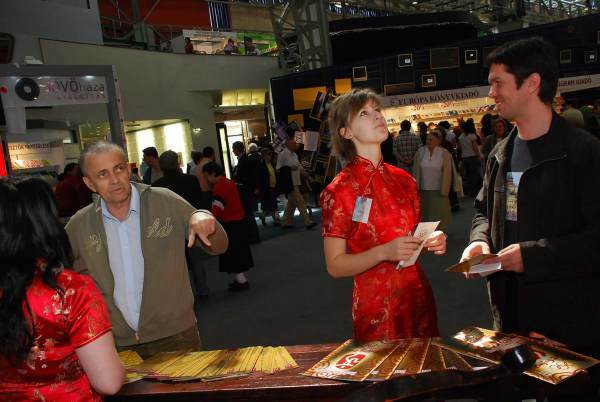 Upon preparing for the Olympics, the Chinese – learning from their predecessors – took great pains to keep their plans realistic, so as to all the buildings could actually be finished in time for the Games. They managed to achieve this goal, as well as raise several enchanting and hyper-modern buildings (like the ’Bird’s Nest’, or the ’Water Cube’) that will no doubt be the new symbols of Beijing for the decades to come. 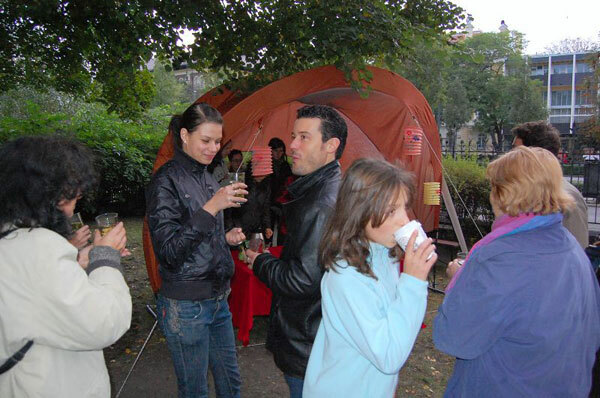 In the year 2008, ECI celebrated Children’s day at two different venues. 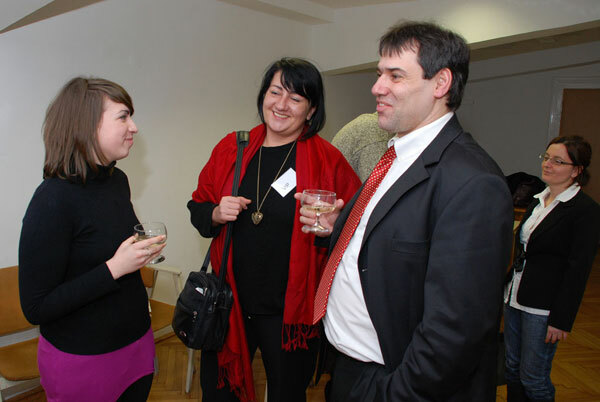 First, at Asia Centre on May 24th. 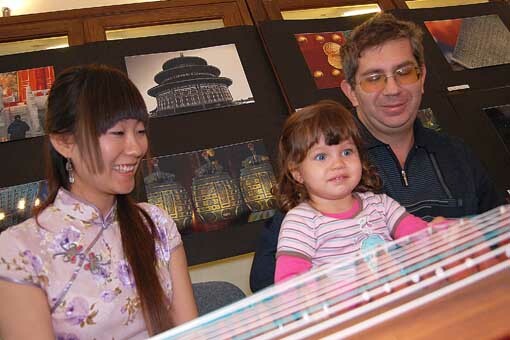 Children and parents all found their amusement in different programs, such as face painting, calligraphy and paper cutting. 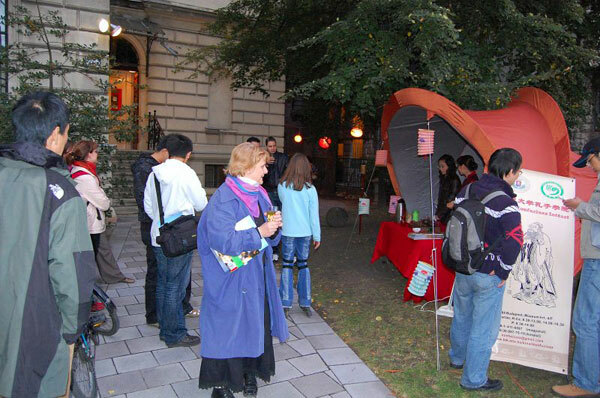 On the 26th of May, in the Citypark, ECI had its own tent at the event „Nations street”, set out to welcome everyone curious about Chinese culture. 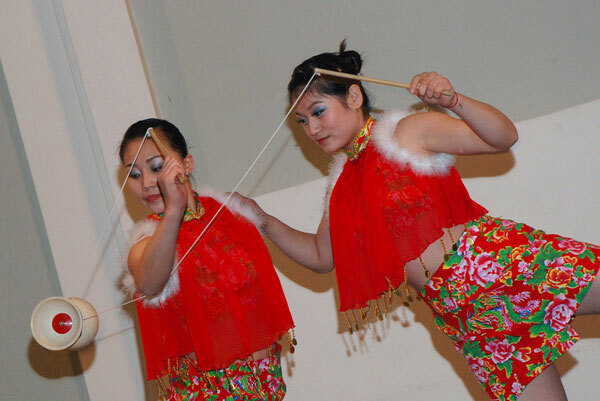 With the help of ECI’s workers, everyone could learn to use chopsticks, basic calligraphy strokes, and to make traditional Chinese knots. 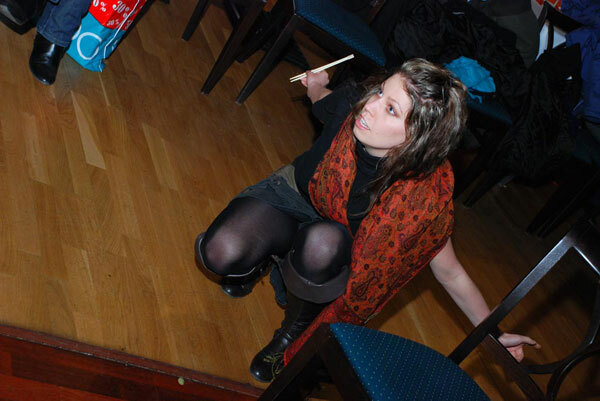 The silk dress-fitting and face painting were also great hits again. 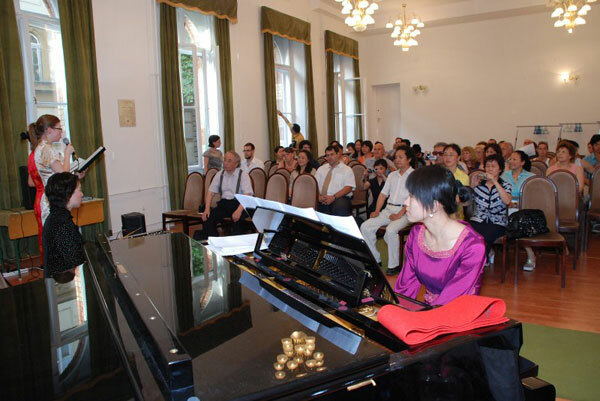 On the main stage of Petőfi Centre, the Chinese-Hungarian Bilingual School’s children’s choir entertained the audience with Chinese folk songs and dancing. 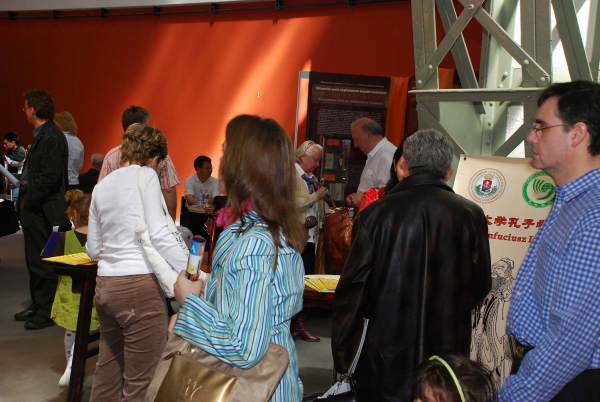 During the events of this year’s Children’s day, several thousand children and parent chose to visit the Citypark. 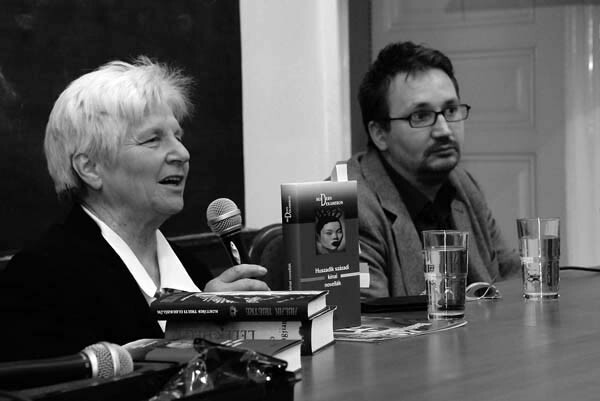 Éva Kalmár: "What do people read in China?" 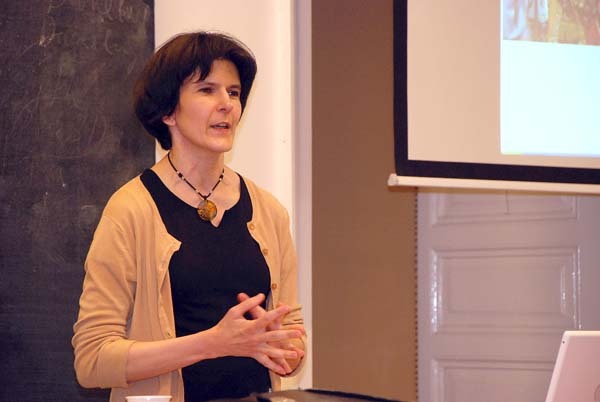 On 24 June, 2008 - in the organization of ECI Modern China Research Centre – Éva Kalmár sinologist has held a lecture entitled „What do people read in China?". 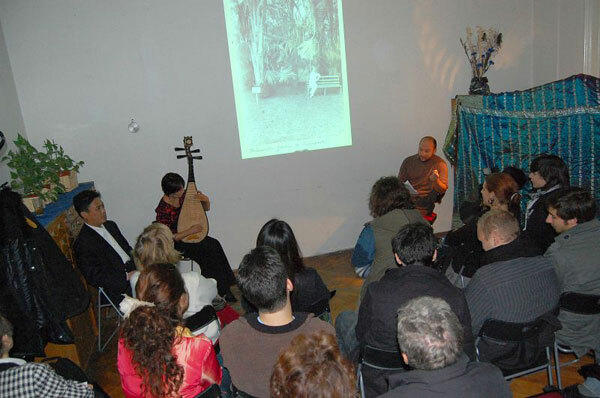 The lecture was the closing event of the first half of this year's syllabus, dedicated to the contemporary China. 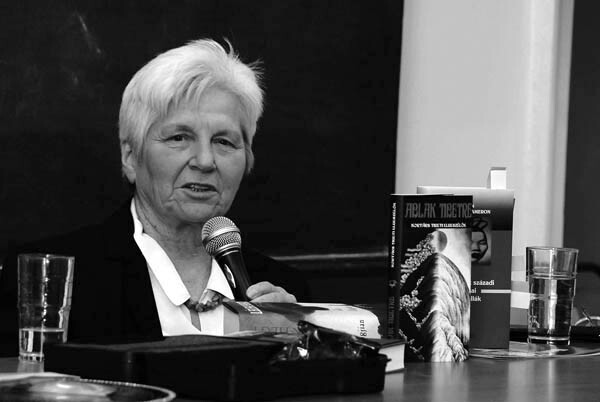 According to Éva Kalmár: reading has a long traditions in China, although relatively few people read serious literature. 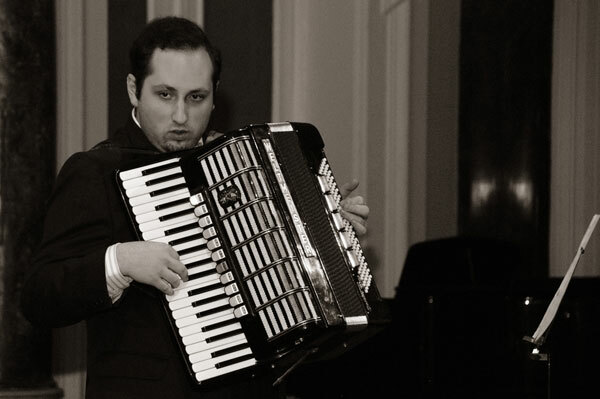 Classics and their reinterpretations are popular, as well as educational works, and certain foreign authors and topics. 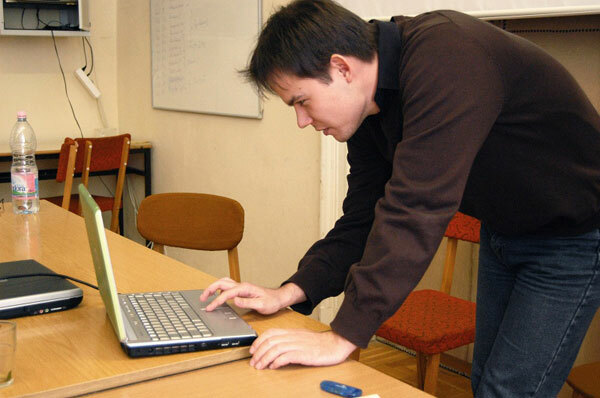 Internet literature plays an increasingly big role as well. 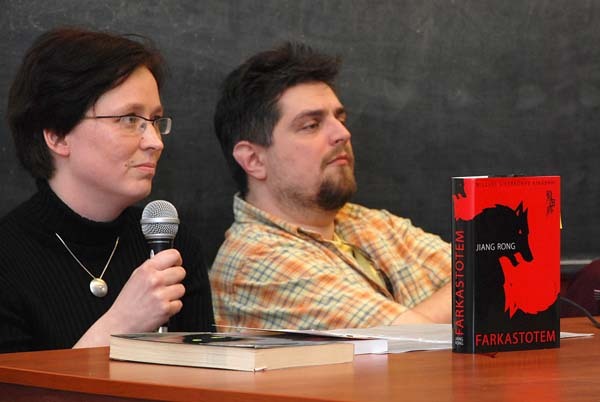 Contemporary Hungarian authors are not widely known. 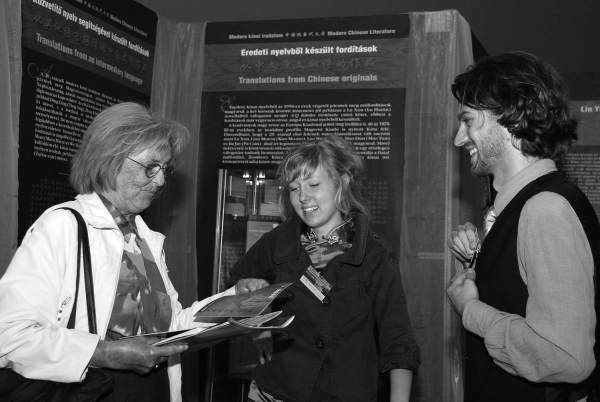 Although the Nobel price of Imre Kertész acquainted the author himself with the Chinese reading public, but it didn't initiated a significant change in the general recognition of Hungarian literature. 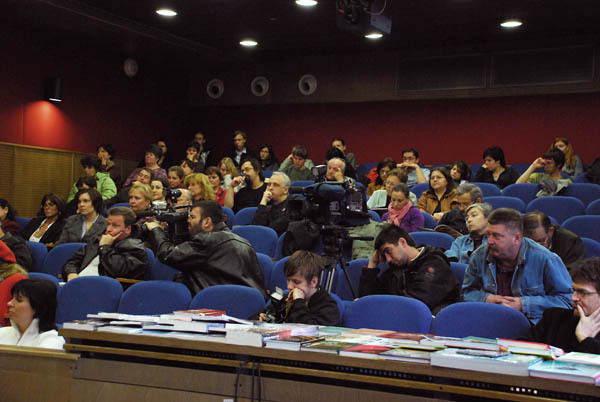 The revaluation of books, reading and literature around the millenary. 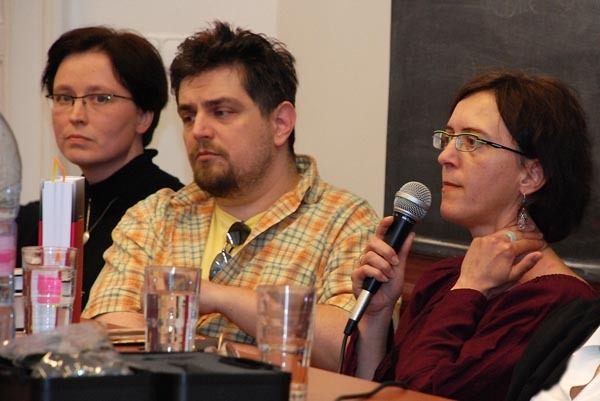 What makes a bestseller? 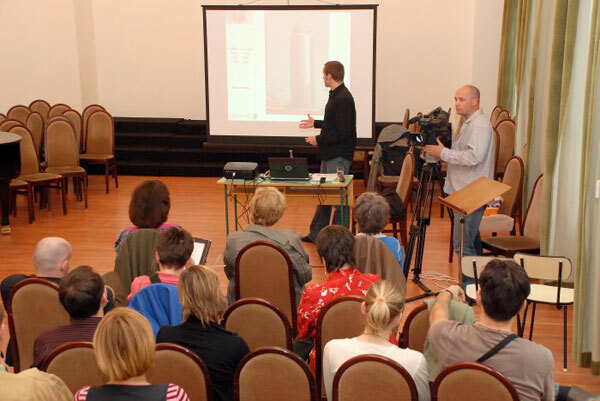 New forms of documentary literature. 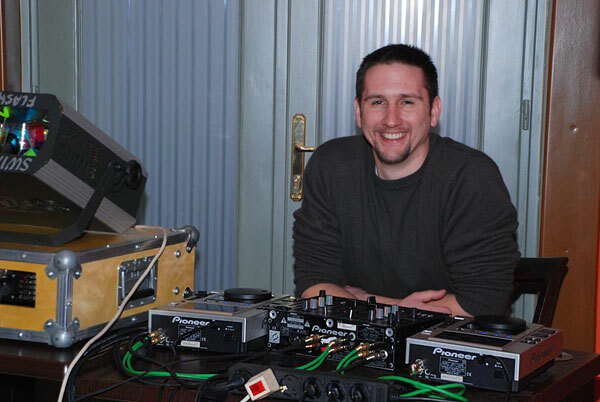 Does the television and computer (and cd/dvd) really wins over the readers? 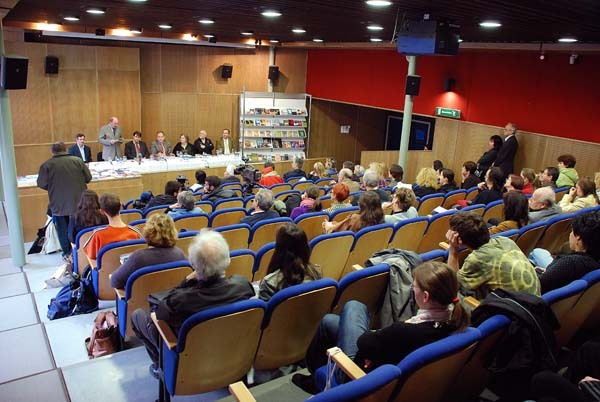 Literature on film. 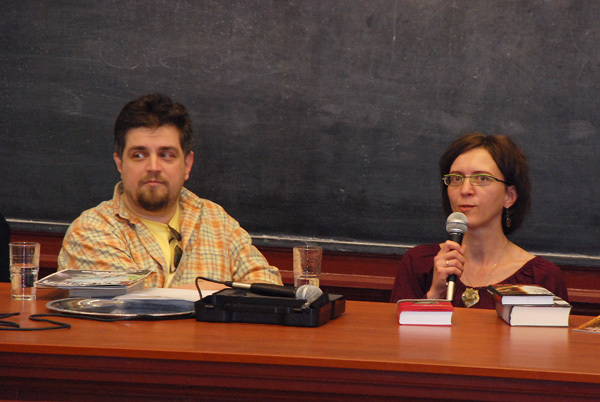 The boundaries and rates of pulp fiction and polite literature. 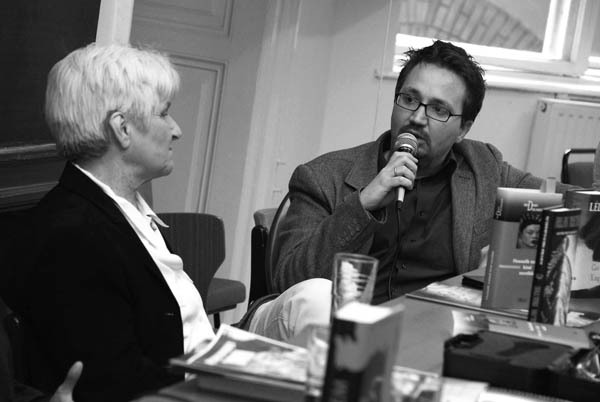 Generations and trends in contemporary literature. Short rewiev of a few works. 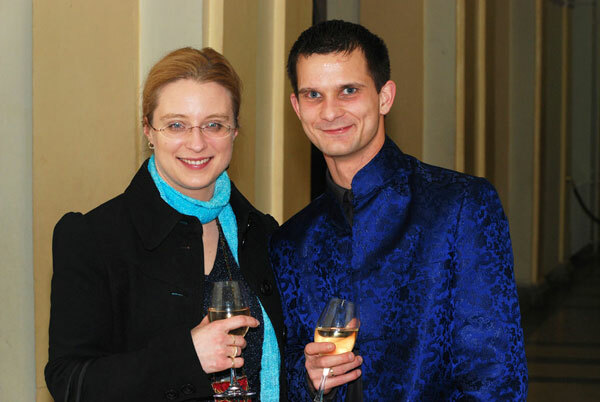 "Graduation and vocation – Your future!" 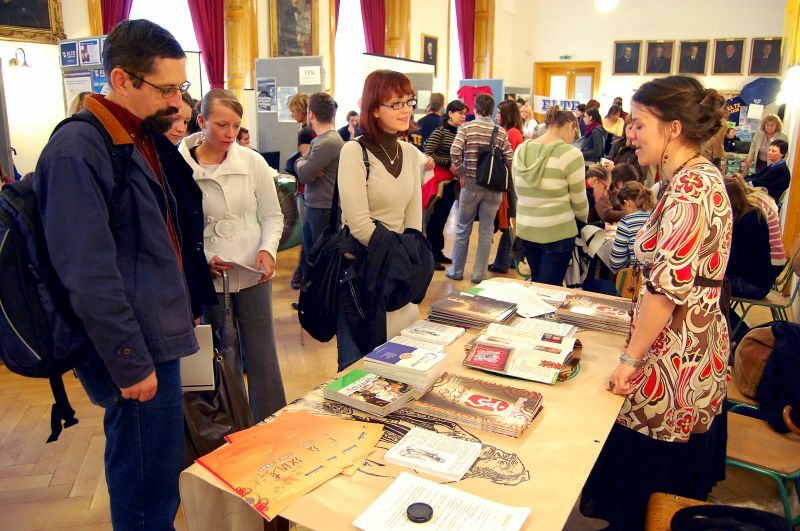 was the title of the ELTE career day, held on the 20th of September. 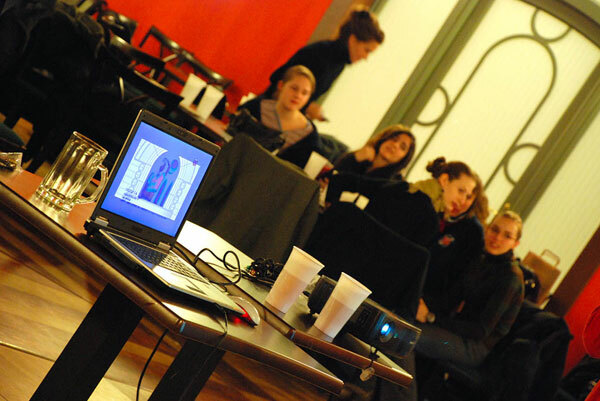 The program’s main purpose is to keep its visitors informed about higher education, and encourage conscious carreer planning amongst graduates. 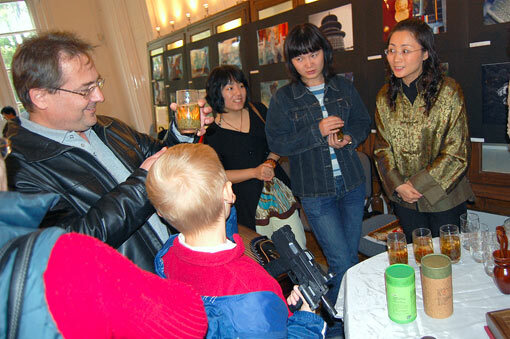 The ELTE Confucius Institute also participated the event. 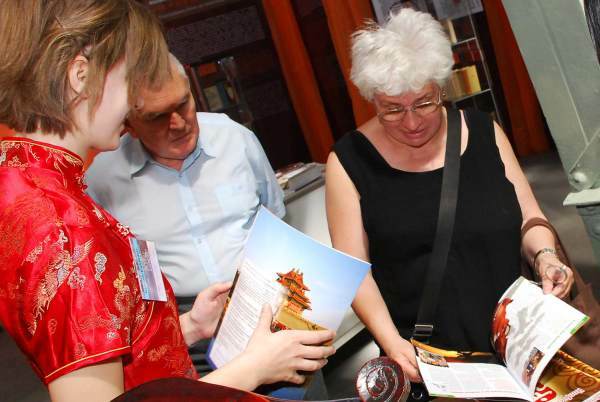 At the booth of ECI inquirers could gain insight into the prospect and potential of Chinese language learning. 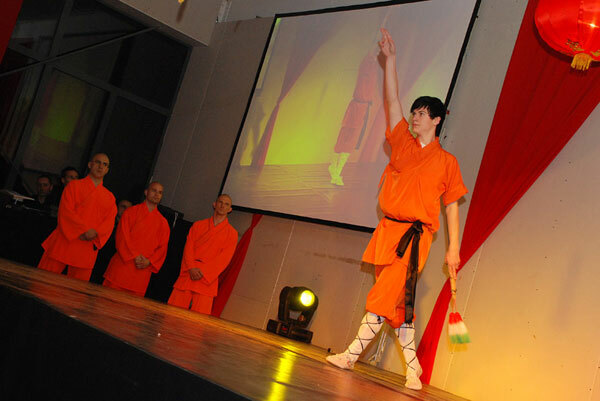 Indicating the Institute’s succes, in the term 2008/2009 more and more ELTE student seems to be interested in the Chinese culture, and enrolls into Chinese programs or starts learning the language. 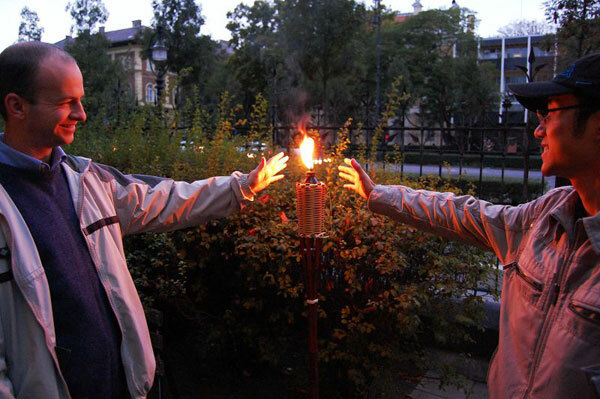 On occasion of the ’Cultural Heritage day’ - traditionally held on the third weekend of September every year - several museum and historical site opens its gates to the public. 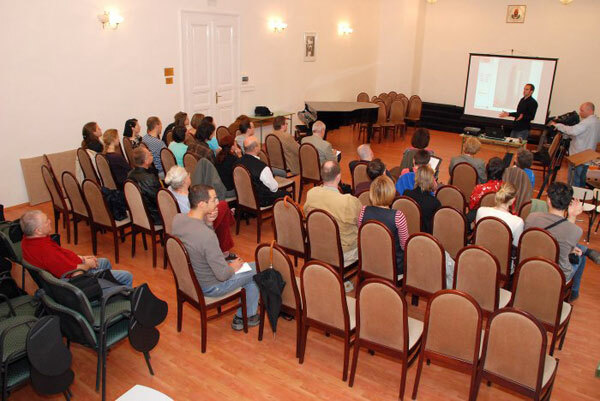 The Ferenc Hopp Museum of Eastern Asiatic Arts has once again prepared with an exquisite program. 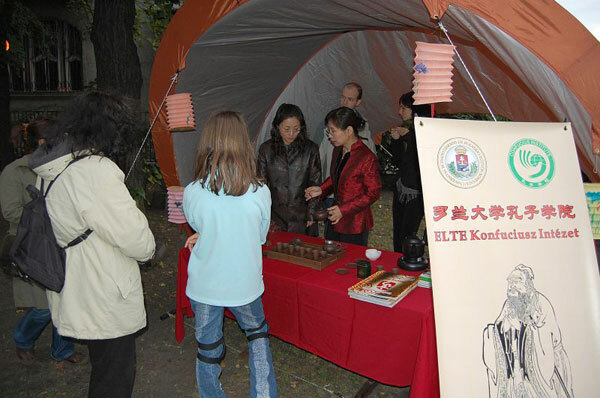 On the 20th of September the ELTE Confucius Institute has greeted visitors with a traditional tea show in the garden of the Museum. 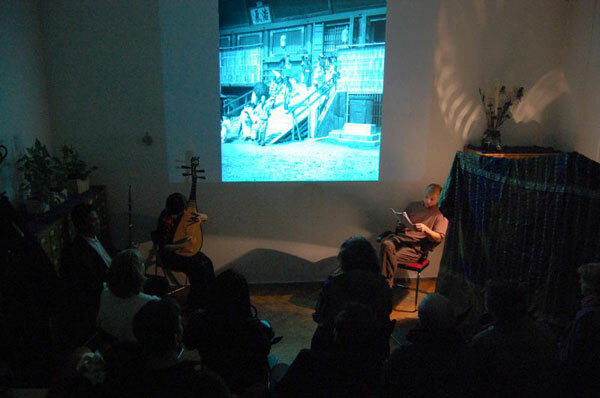 Afterwards, a richly illustrated reading - accompanied by traditional Chinese music performed by Zhang Liman and Liu Yi - outlined to the inquirers the exotic travels of Ferenc Hopp. 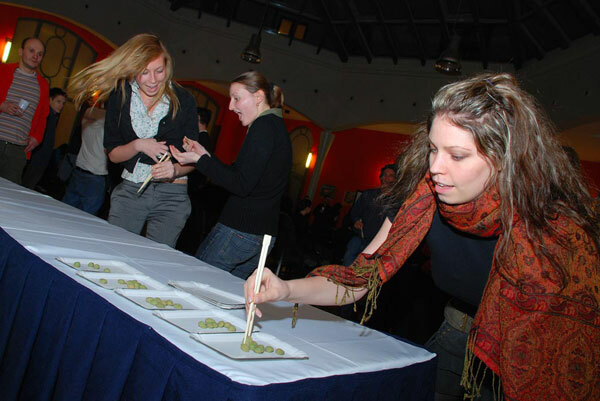 Celebrating this years Ginkgo Days (Oct. 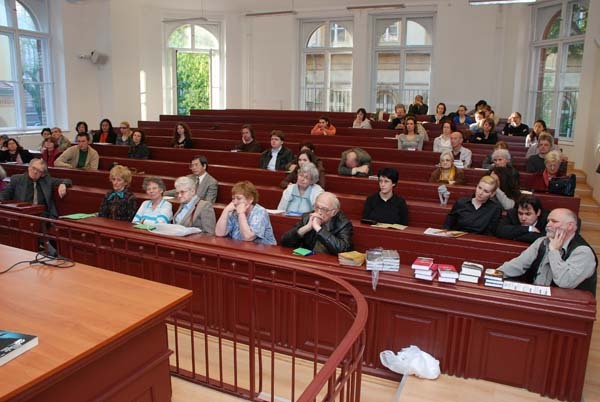 4-5.) 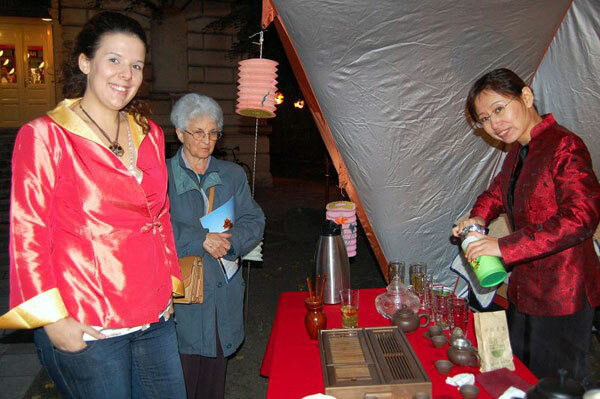 ELTE University Botanical Garden welcomed its visitors with a rich choice of programs. 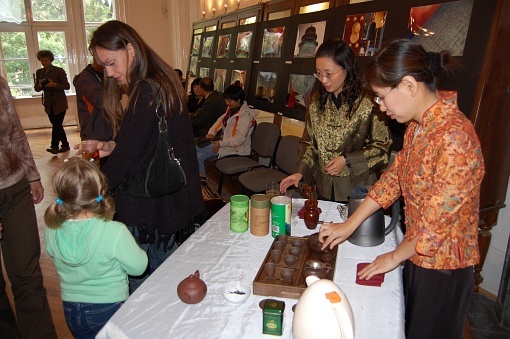 The event was opened by Liu Wenqin, cultural minister counsellor of the Embassy of the People's Republic of China. 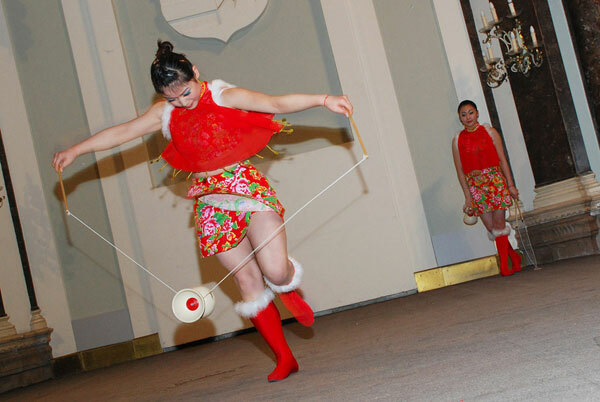 EKI represented the Chinese culture with a carefully selected program; tea-ceremony and calligraphy. 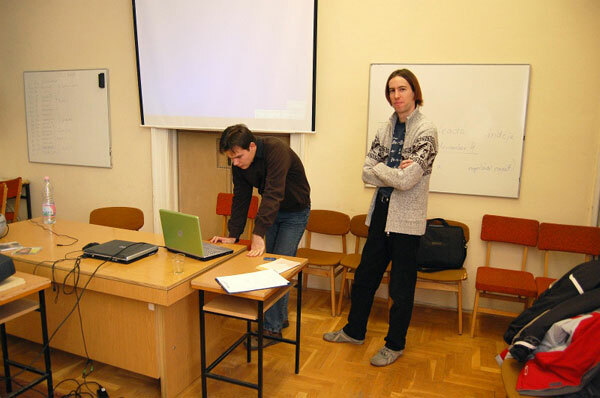 Three students (Horváth Alíz, Koppányi Tamás and Tóth András) has held a presentation recounting their experiences as a scholarship-student in China. 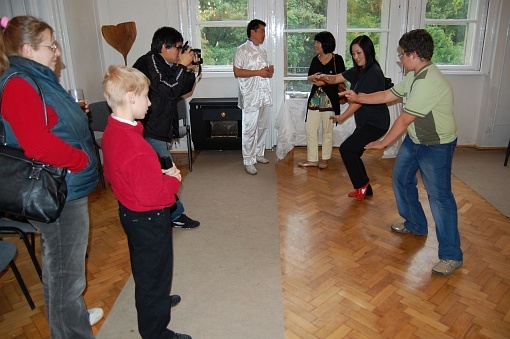 Guests could also get to know the basic movements and philosophy of Tai Chi, under the guidance of Tai Chi-master Liu Shihai, or, following the teachings of Yu Zemin, gain insight into the history of Chinese writing, and give a try to the craft of calligraphy themselves. 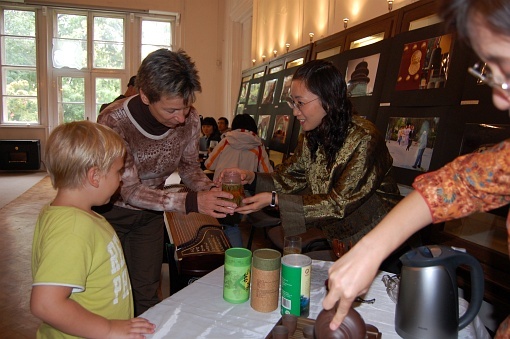 Wu Sina and Fang Ying – teachers of ECI – has entertained the guests with tea-ceremony and traditional Chinese music. 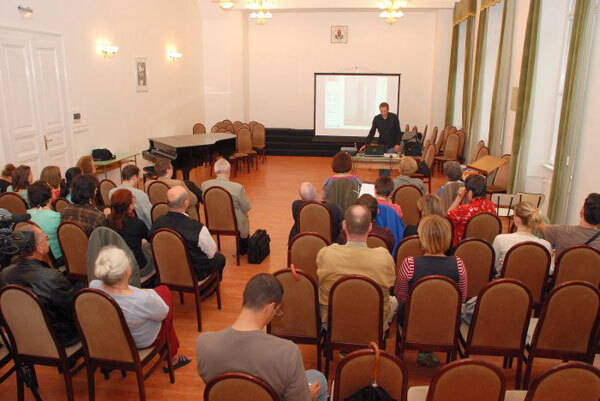 Dr Gerzson László has held a lecture entitled "Chinese plants in Hungarian gardens". 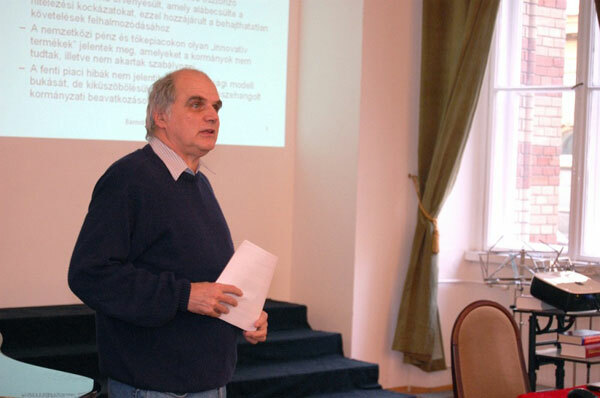 Szabó György – an operative of EKI – participated the event with his photos. 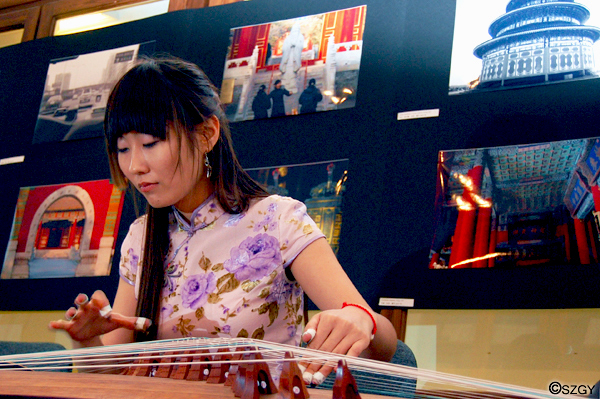 The exhibition – entitled "China through the lens of an amateur photographer" – showed several choice pictures of the promising artist, taken in Beijing, Shanghai and Hongkong. 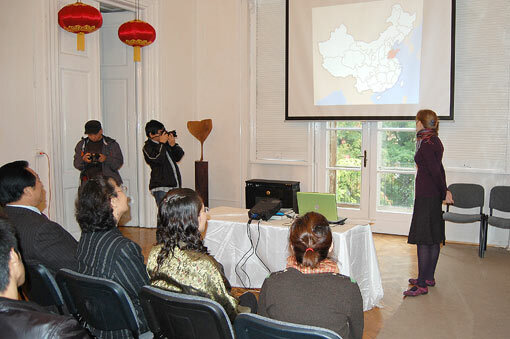 On 6 November, 2008 a writers' delegation from Shanghai visited ECI and the Department of Chinese Studies. 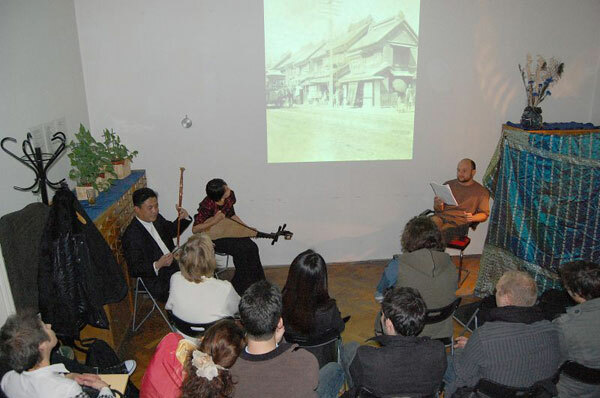 In the evening, famous Chinese writer and literary critic, Wang Jiren gave a lecture entitled „Chinese literature in 1920-30s”. 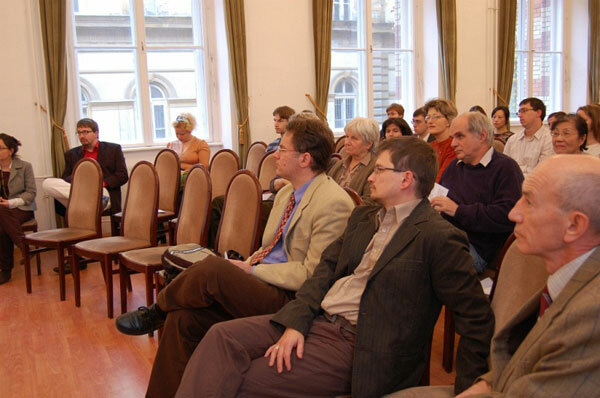 Following the lecture a round-table discussion about the contemporaray Chinese literature was held at ECI. 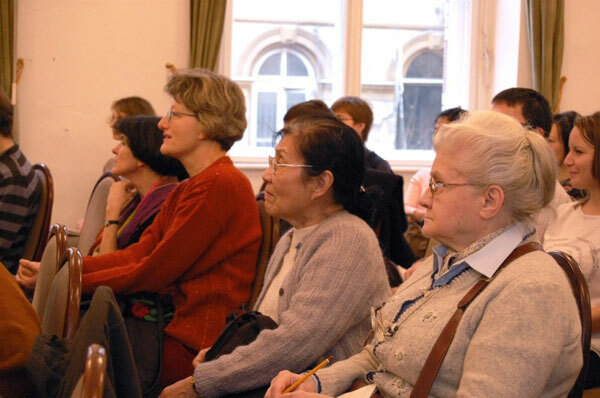 Wang Jiren, and the Hungarian translators of the modern Chinese literature – Edit Bányász, Éva Kalmár, Réka Madaras-Takács, Melinda Pap, Yu Zemin, Klára Zombory – participated in the discussion. 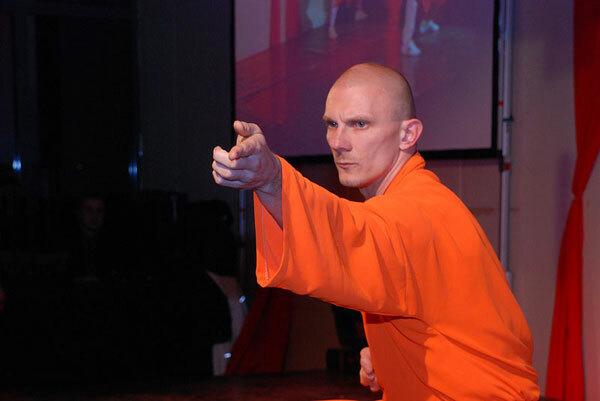 Wang Jiren was born in 1940. His first short story ’Tuixiu – Retirement’ was published in 1958. 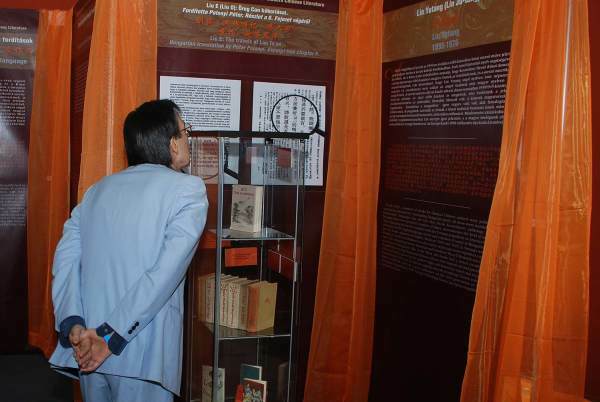 Since the publication of his famous essay ’ Lasa daqiao zhi ge - Song of the Lhasa bridge’ in 1975, he has brought out several literary and literary theory works. 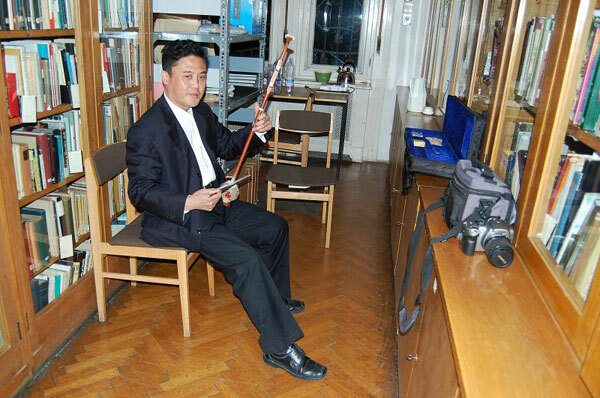 He is the vice-president of the Shanghai Writer’s Guild, professor of the Shanghai teachers' training college, and author of several literary thesaurus, encyclopedia and textbook. 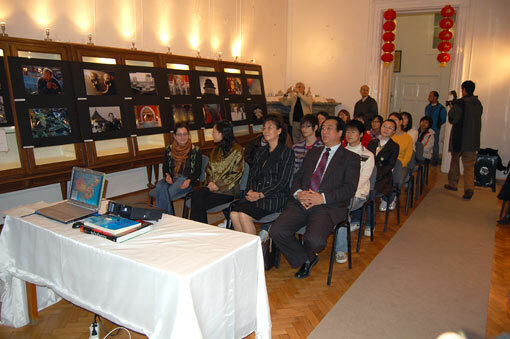 On 7 November, 2007 ECI was host to the opening ceremony of the project called "Window of Shanghai". 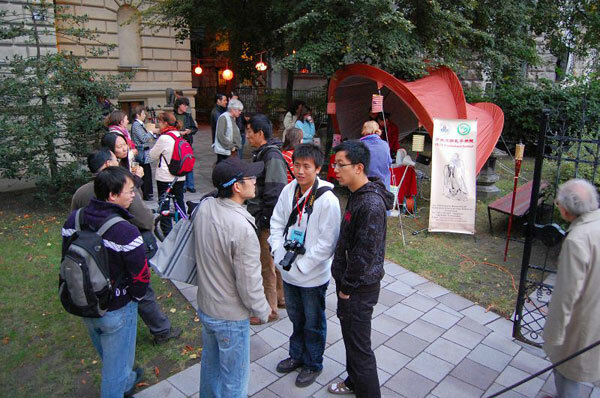 The program was initiated by the city of Shanghai and the Shanghai Library - the largest public library in China. 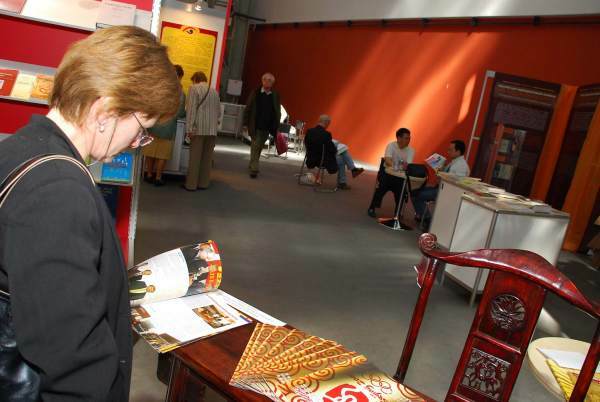 The program's purpose is to supply libraries all around the world with the latest Shanghai editions about China and the Chinese culture. 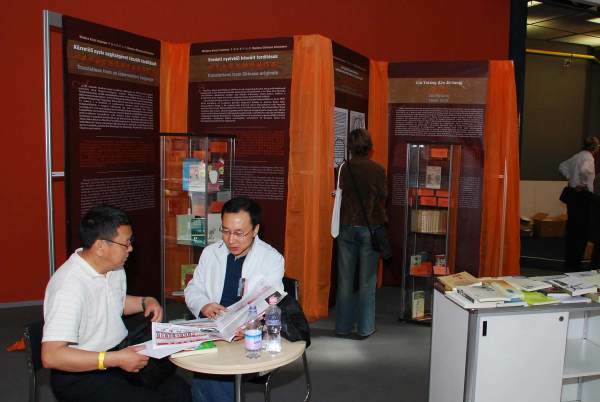 Participating libraries receive as a present hundreds of tomes annually from the Shanghai Library. 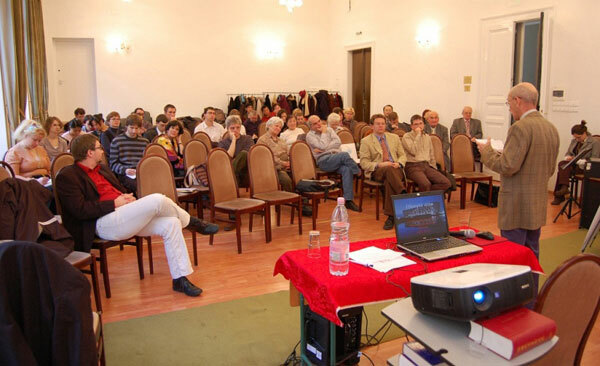 Thus far ELTE's and the National Széchenyi Library are the participating hungarian libraries. 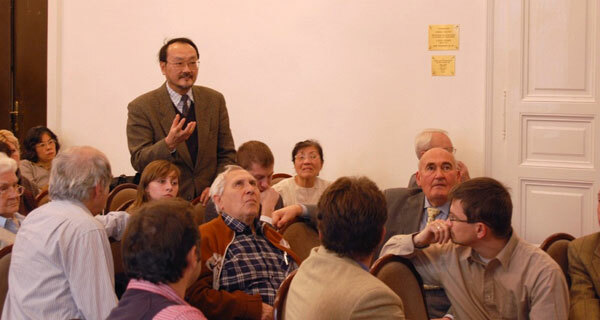 Chinese delegation was lead by Zhou Muyao, Chairman of Shanghai International Friendship Association and former vice mayor of Shanghai, and Mu Duanzheng, Chairman of the Board of Shanghai Library. 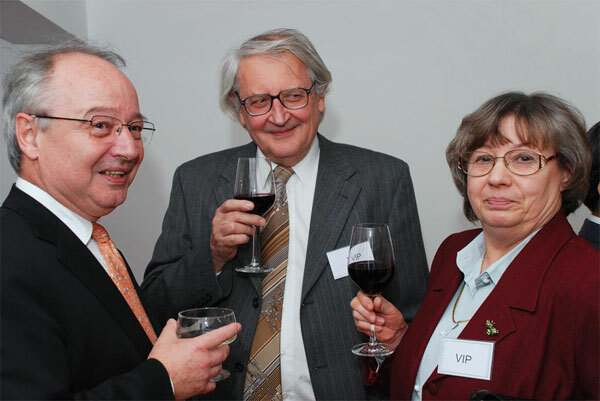 ELTE was represented by Prof. László Zentai, vice-president of ELTE, Dr. Ferenc Pál, vice-dean of the Faculty of Humanities and Dr. Ágnes Birtalan, commissioned headmaster of the Institution of the Far East. 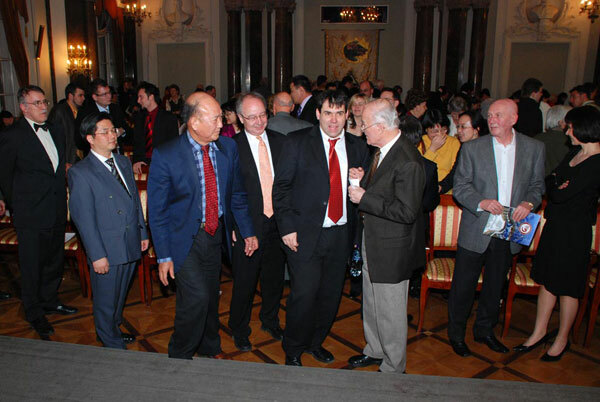 Liu Wenqing, cultural minister counsellor of the Embassy of the People's Republic of China and Wang Qingnian, director of the education department of the Embassy was also present, as well as Ottó Juhász, Chairman of the Sino-Hungarian Friendship Society, and László Kuti, vice-director of the Ministry for Foreign Affairs. 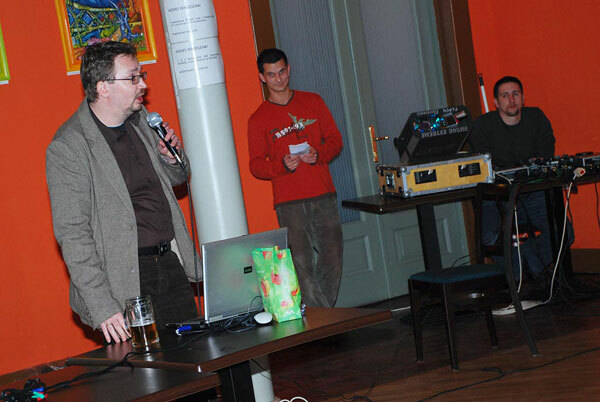 Prof. László Zentai, Mu Duanzheng and Liu Wenqing gave a speech. 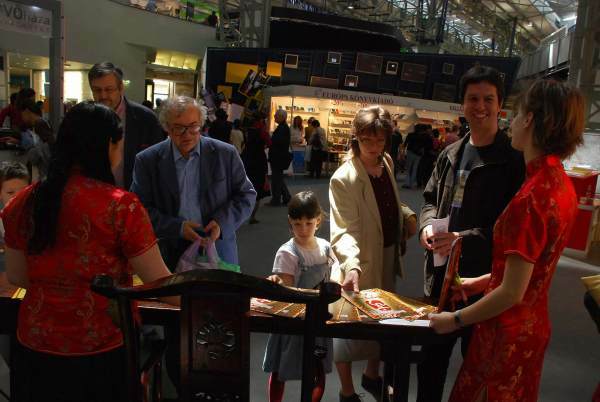 The books donated to ELTE will become parts of the collection at the libaries of ECI and the Chinese Department. 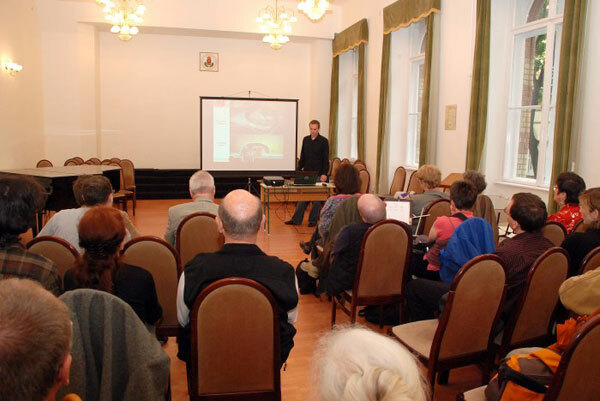 Dr. Gerzson László from Corvinus University of Budapest gave a special lecture entitled "Chinese Plants in Hungarian Gardens", which shortened the distance between the two countries and helped the audience learn about the colorful botanic world of China. 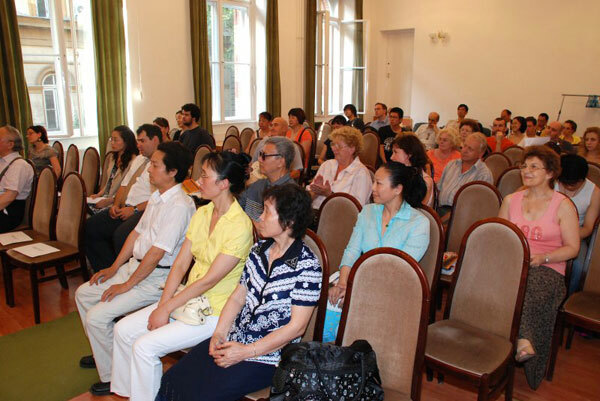 Chinese Language in the Public Scool The ELTE Confucius Institute has donated several Chinese language book and modern educational audio materials to ELTE Trefort Ágoston Demonstration School. 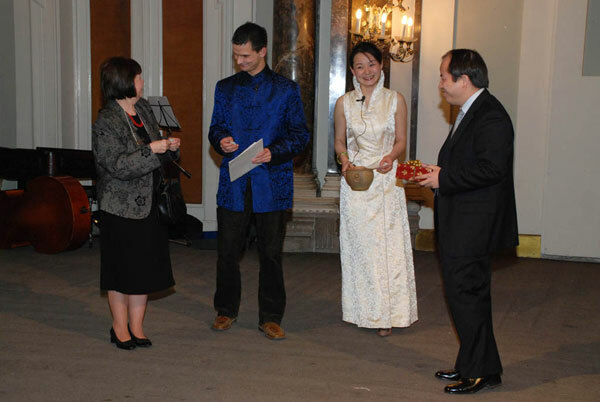 At the ceremonial handing over of documents the Institute was represented by deputy director Kozjek-Gulyás Anett and vice director Guo Xiaojing. 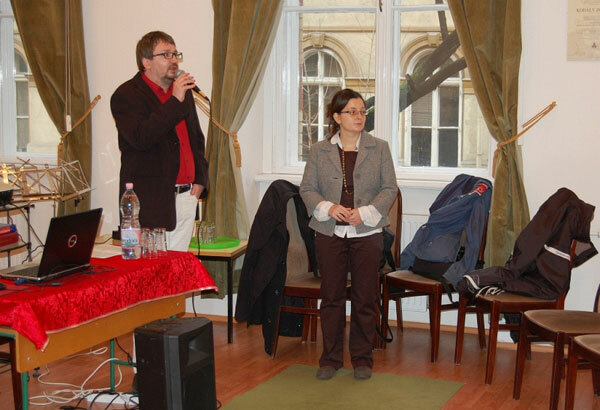 On behalf of Dr. Schróth Ágnes, director of ELTE Trefort Ágoston Demonstration School, vice-director Fernengel András was in receipt of the donations. 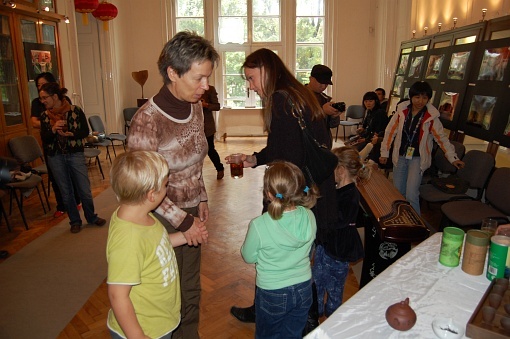 Éltető Éva, the Chinese language teacher of the school was also present. 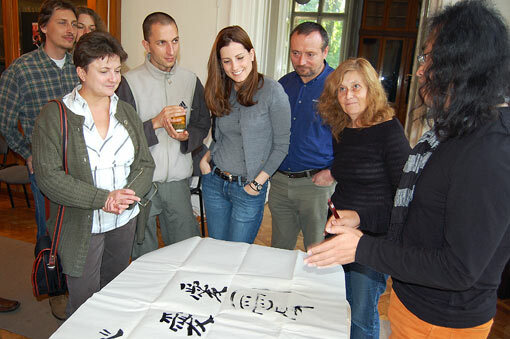 From the term 2007/2008, education of Chinese as the second foreign language was started at ELTE Trefort Ágoston Demonstration School with the assistance of ECI. 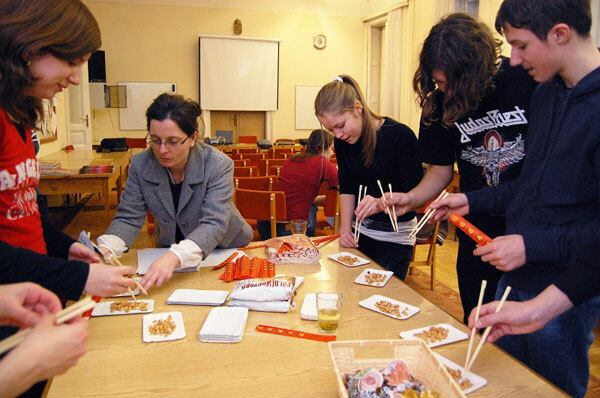 In the 2008/2009 term students of two grades (the 9th and the 10th) will have the opportunity to attend Chinese classes. 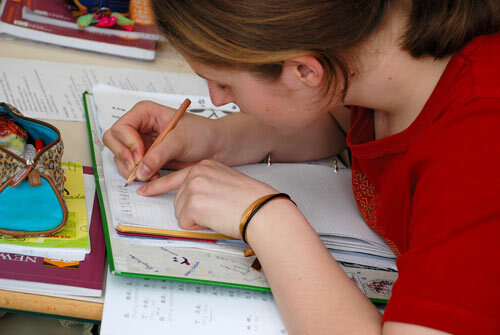 The number of educational institutes in which Chinese education will take place with the assistance of ECI will be increasing in the term 2008/2009. 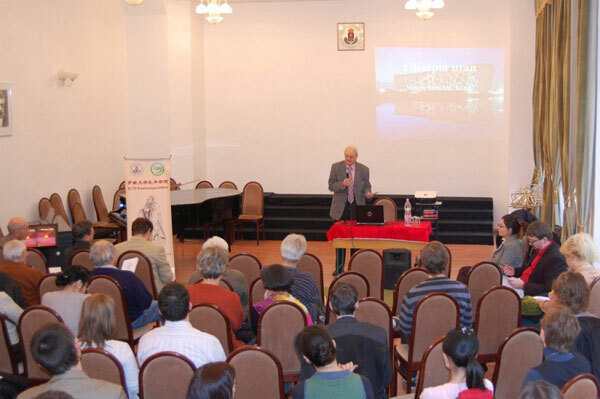 Fazekas Mihály Demonstration School és az ELTE Radnóti Miklós Demonstration School has both indicated their interest in introducing the education of Chinese language to their programs. 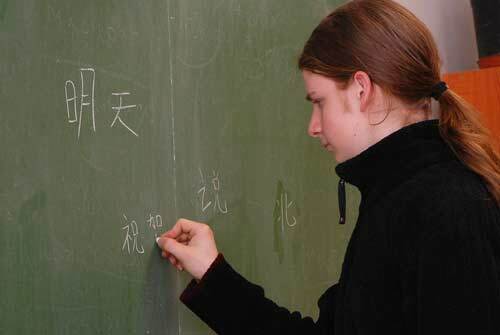 On the long run, ECI plans to further increase the number of high schools where Chinese as a second foreign language becomes eligible.